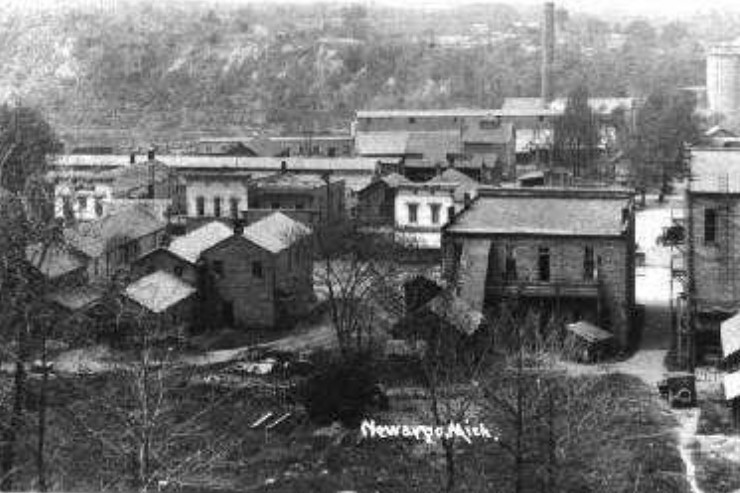 Nature has had its influence on this area since before 100 B.C. 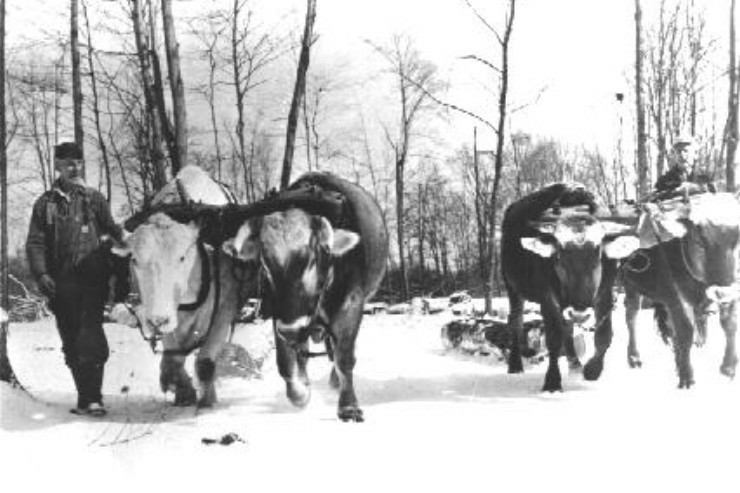 when various Indian tribes like the Hopewell and Ottawa flourished hunting, fishing, and trapping the landscape. 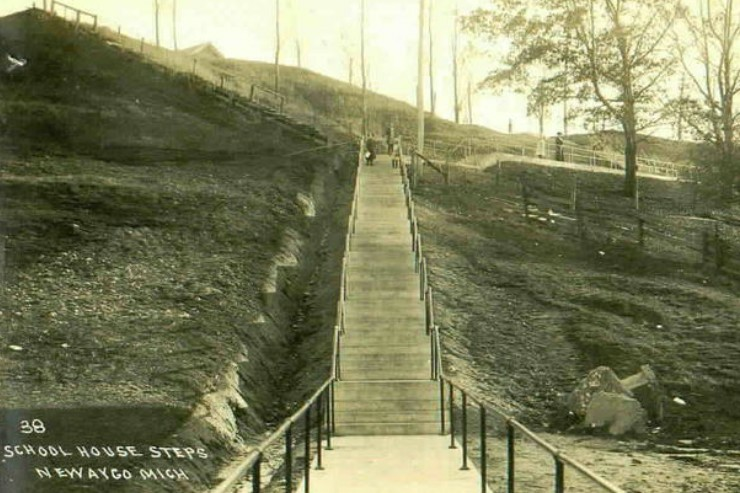 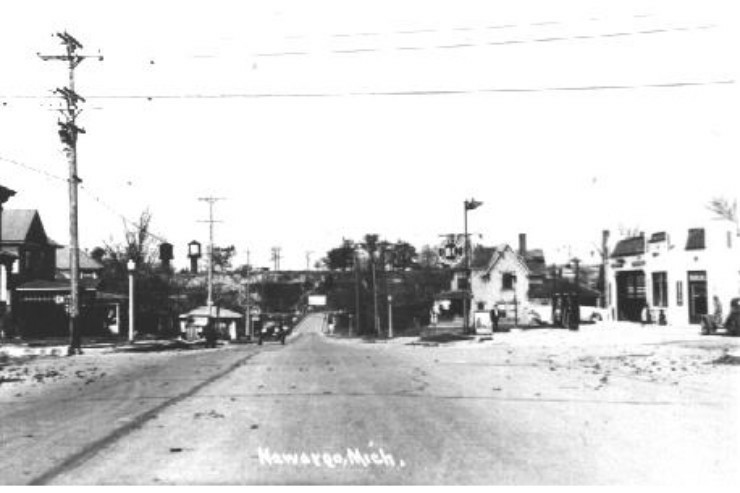 The Muskegon River provided for numerous people and in turn, the natives were careful to preserve the land they called home throughout the seasons. 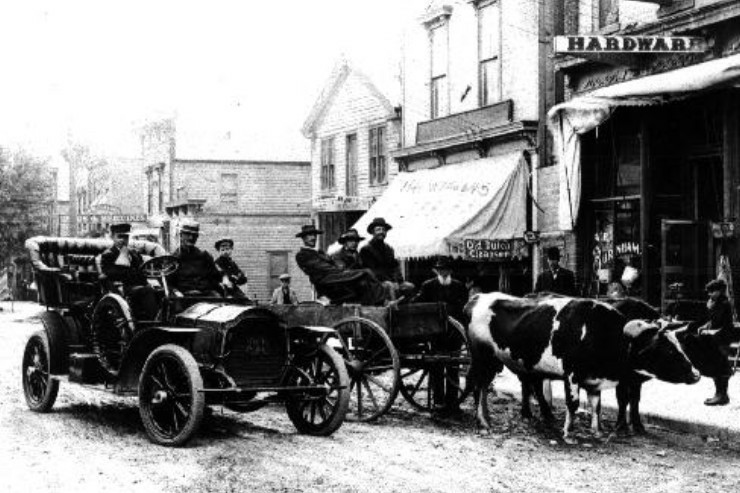 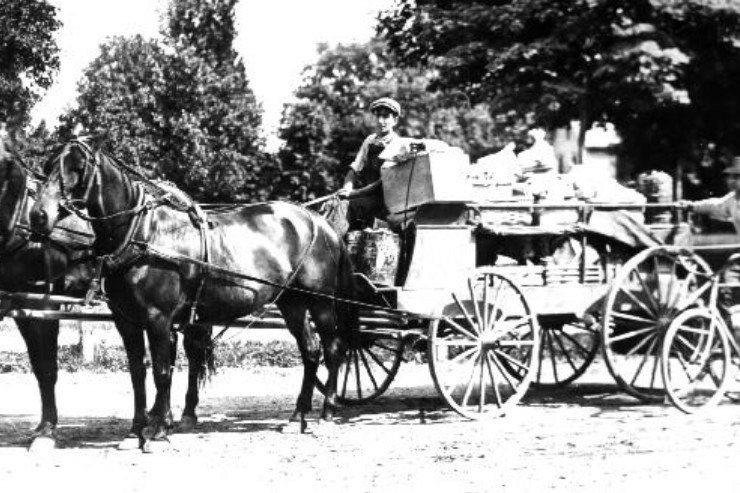 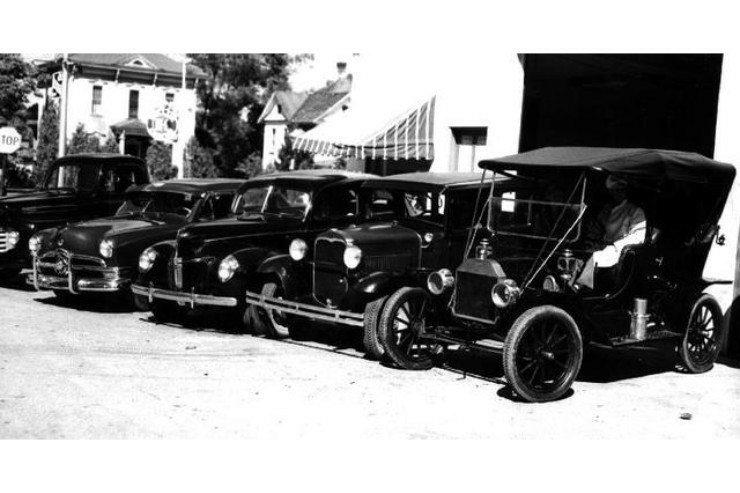 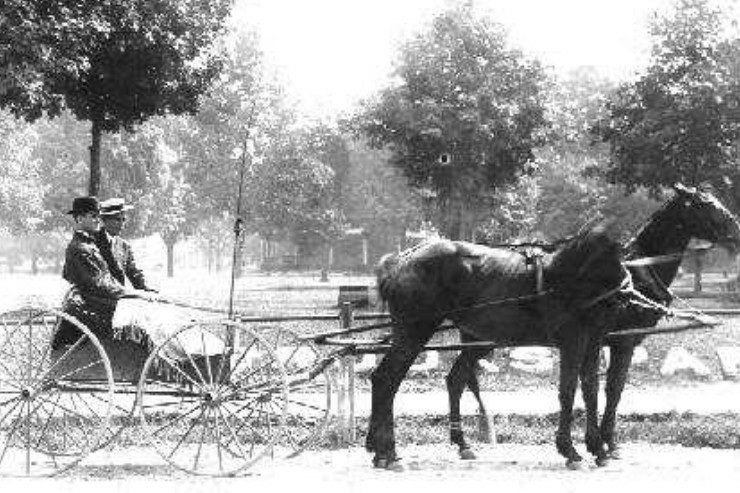 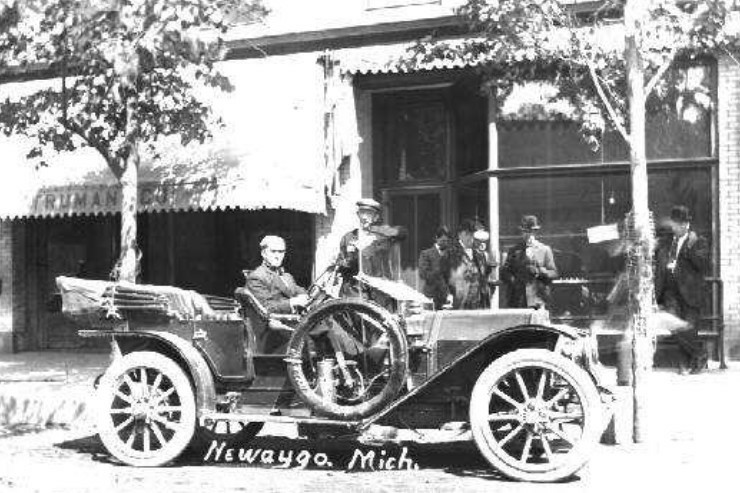 There are many legends and stories concerning the name chosen for the County of Newaygo. 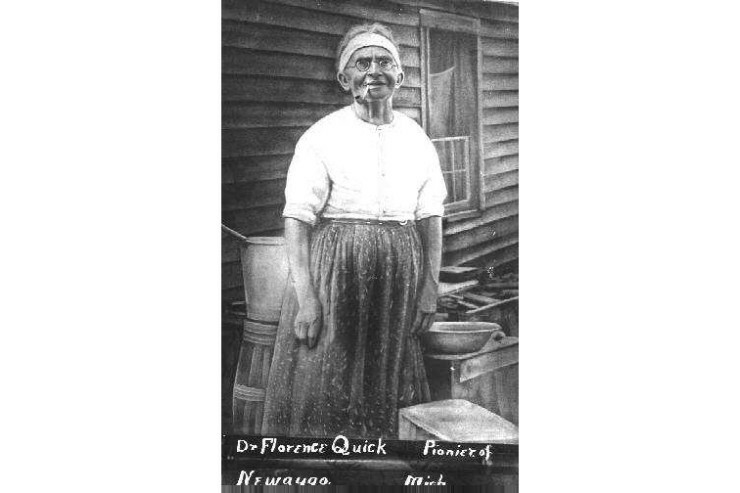 It is believed that the name was derived from an Indian brave, Nah-way-gon, who had a reputation for bravery and strength, and was known for his courage on the battlefield. 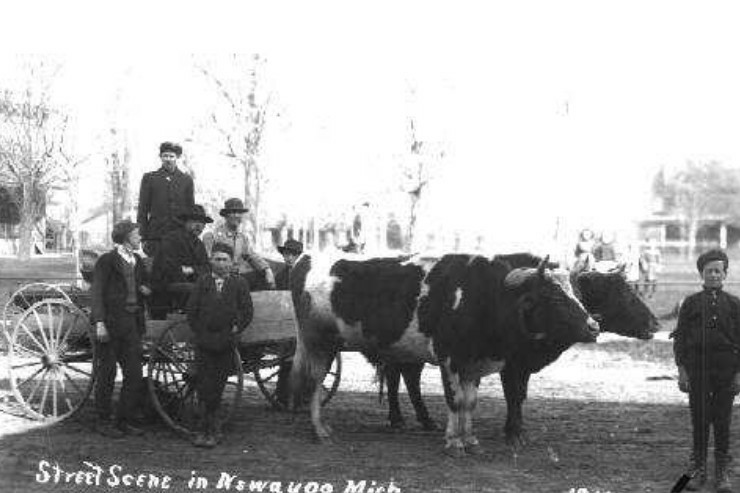 Seen and admired by the area’s first European trappers, Nah-way-gon served as an inspiration to embrace the area as it was. 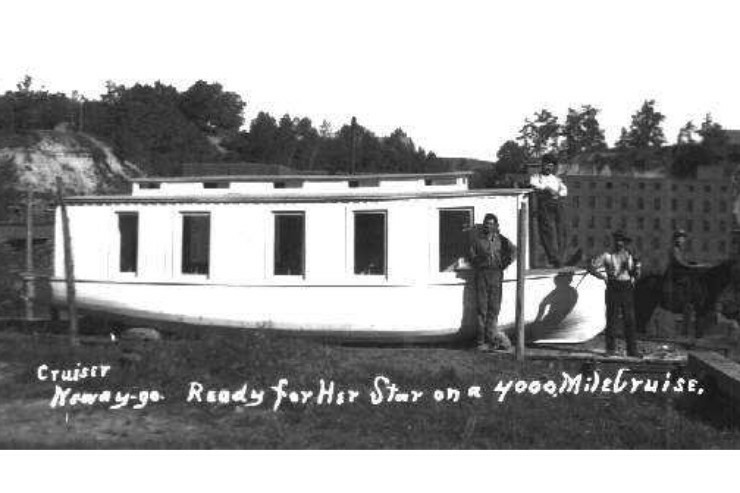 French trappers were the first Europeans to successfully navigate the Muskegon River. 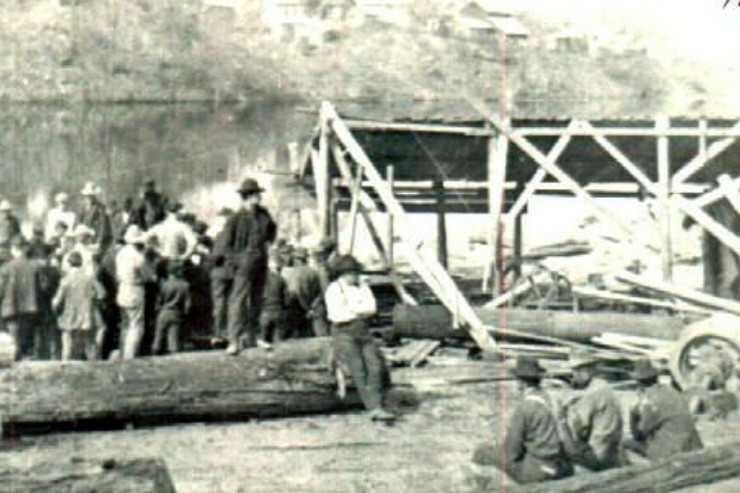 Trading furs with the Indians and enjoying a peaceful commerce, they settled on the river in 1834. 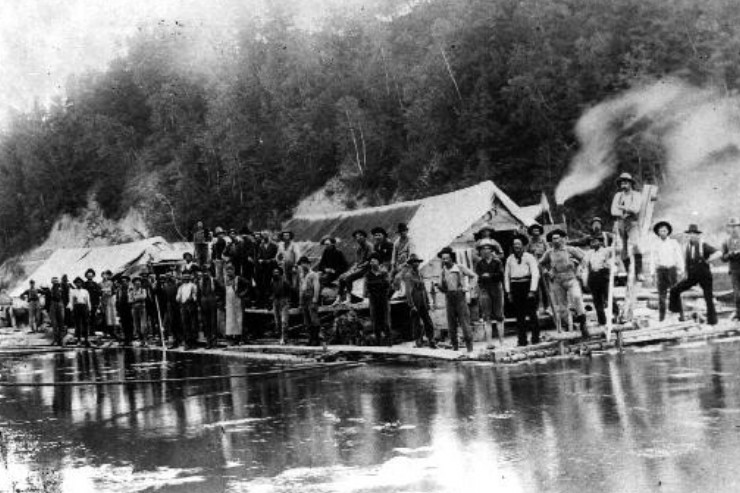 Making a journey up the Muskegon River with French trappers as guides, the Penoyer brothers came to Newaygo with a group of capitalists from Chicago. 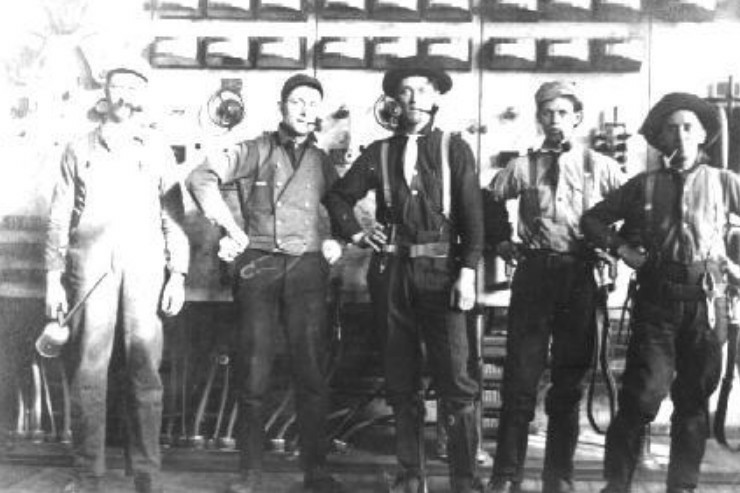 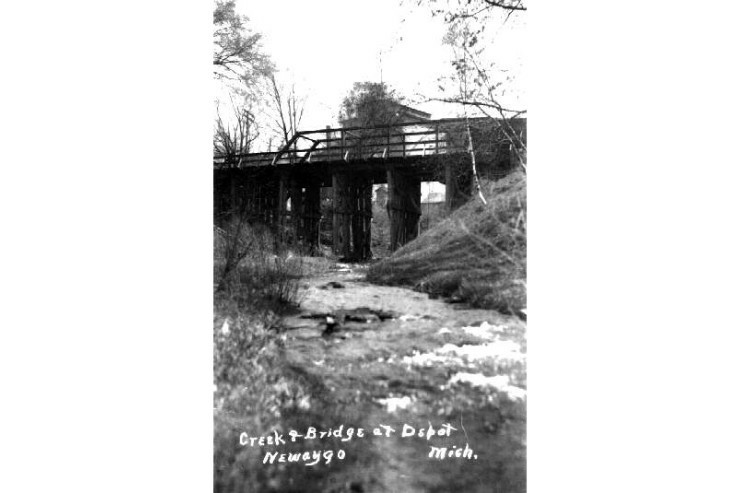 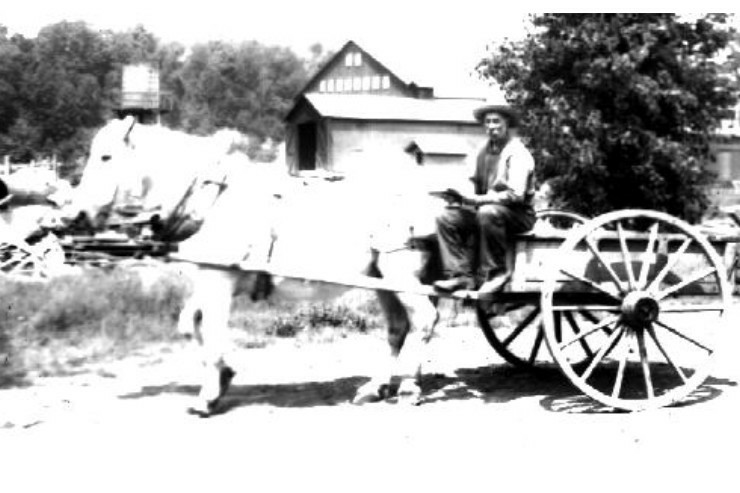 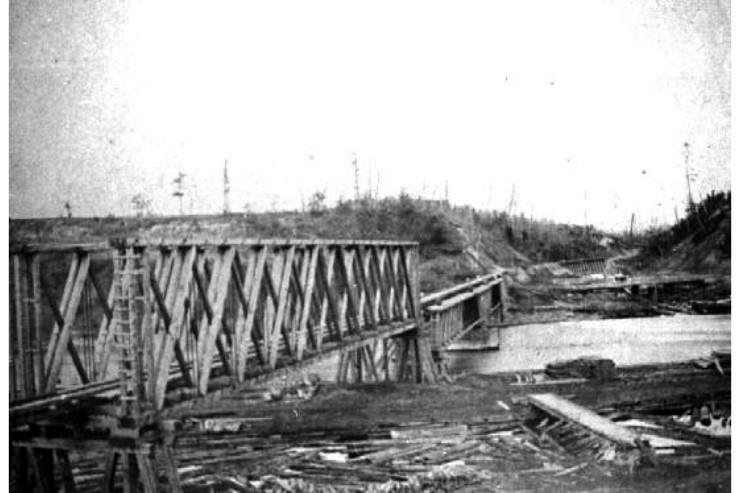 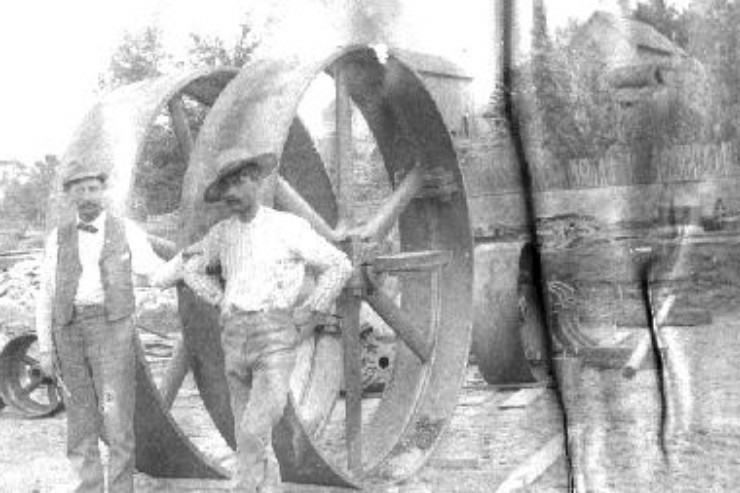 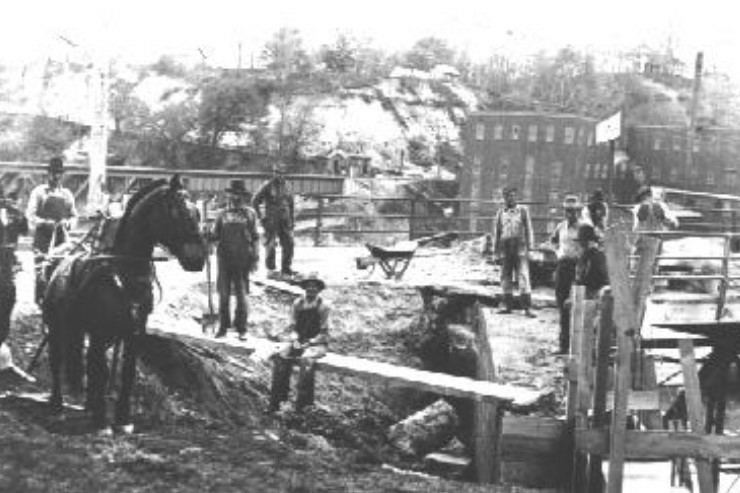 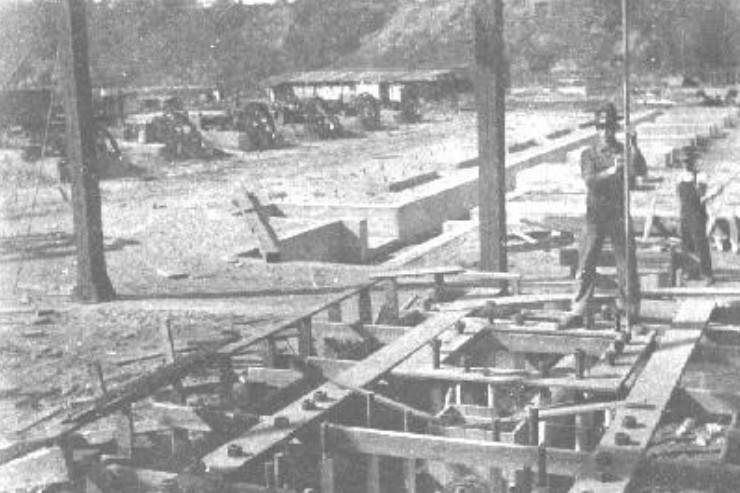 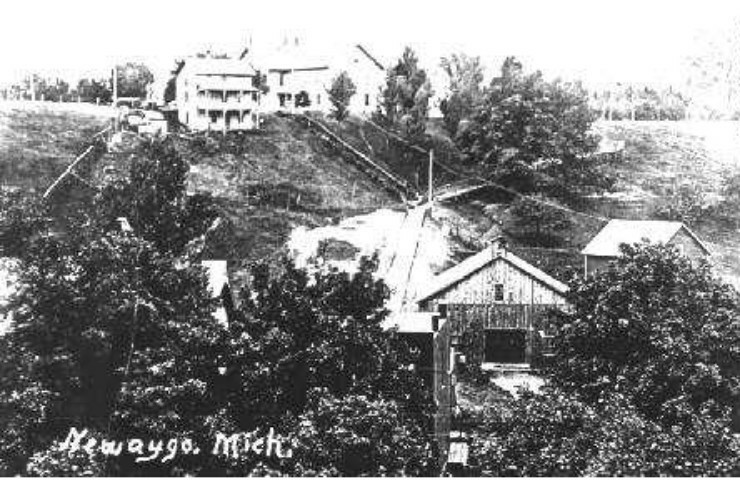 At the very site that is now Newaygo, the brothers stopped and built the first saw mill at Penoyer Creek, and thus are credited with the beginning of a long and thriving lumbering history throughout Newaygo County. 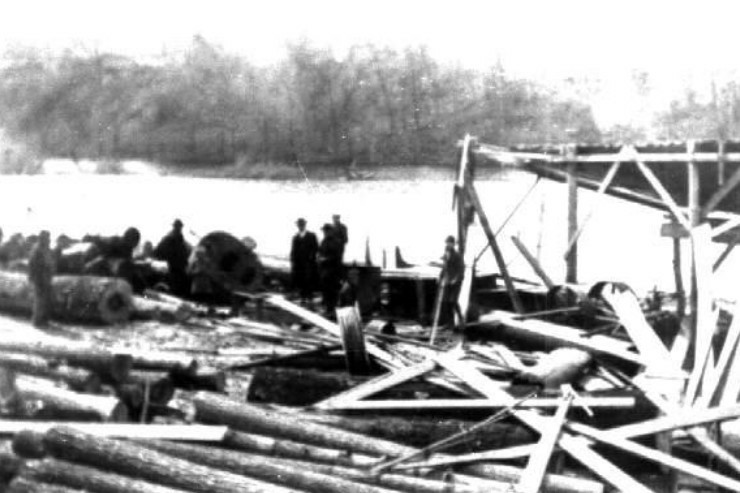 Although John Brooks is credited with first floating logs down the river, the Penoyer Brothers were the first to raft them down the river to Lake Michigan and on to Chicago – a feat that led to more logs floating down the Muskegon River than any other river in the world. 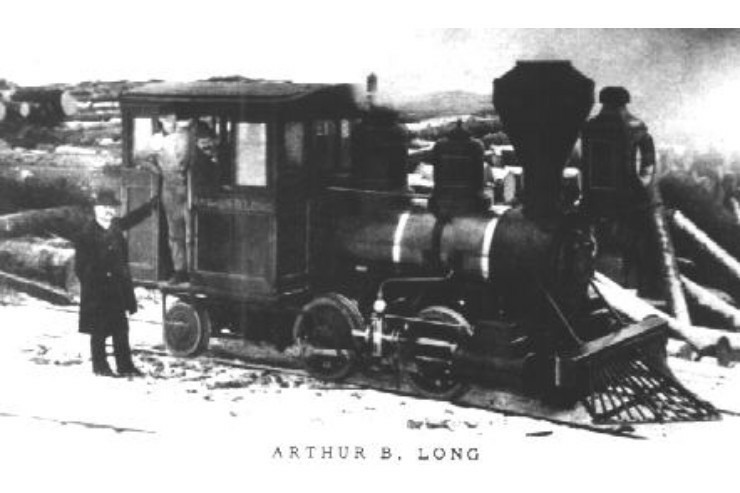 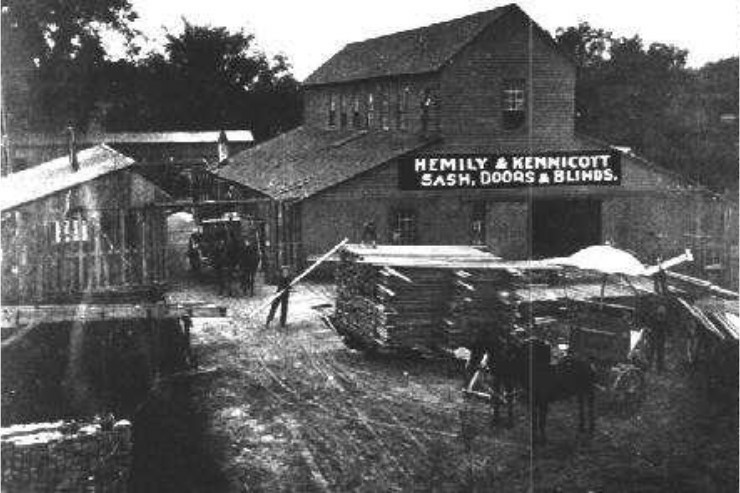 The logging industry flourished through the 1850’s, essentially depleted the vast timber resources of our area. 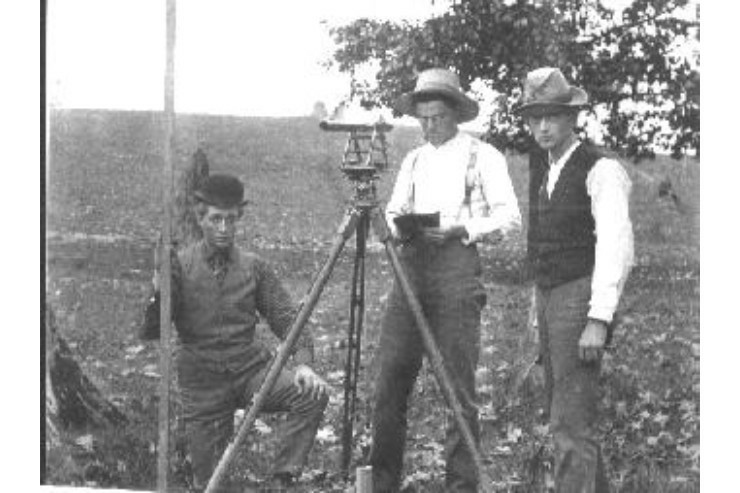 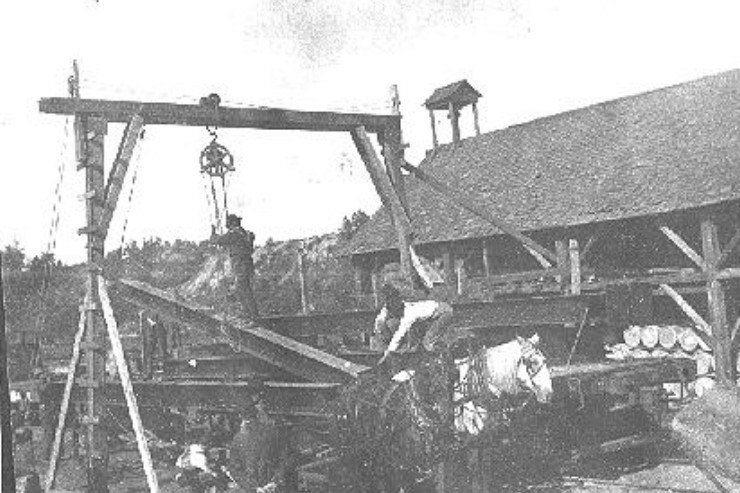 Soon after the timber rush, farming the fertile land in the county took its place. 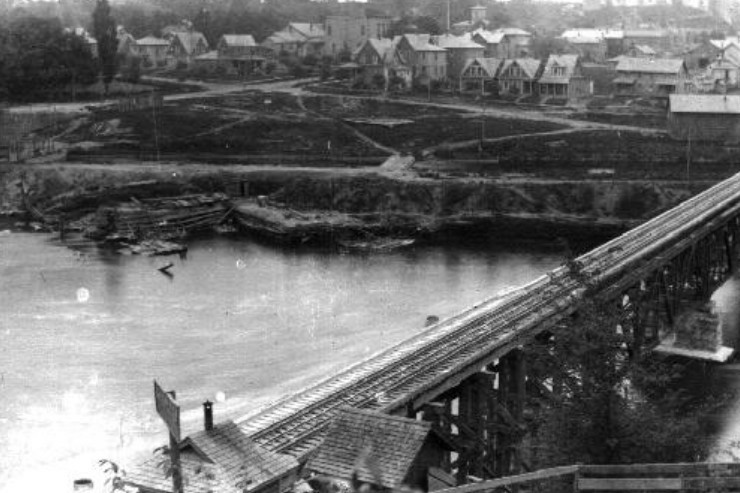 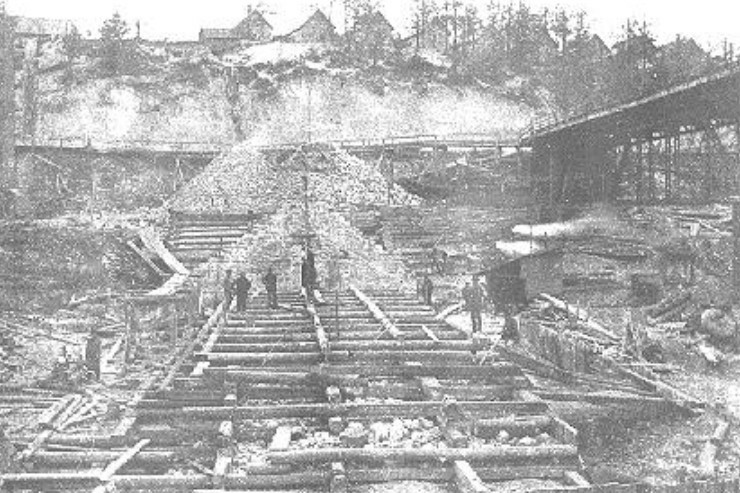 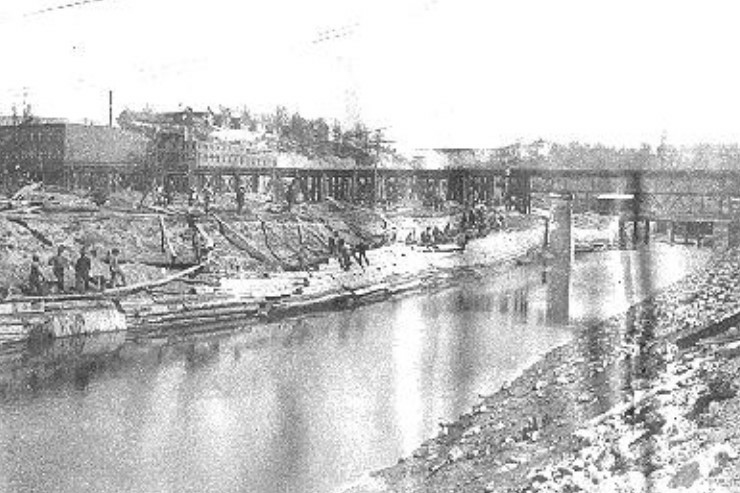 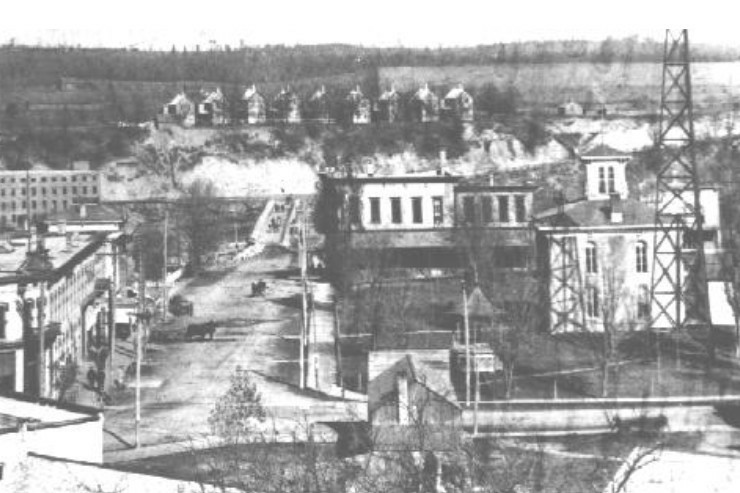 Mining of the area’s marl beds (calcium carbonate) brought thriving cement production from 1890 to 1930. 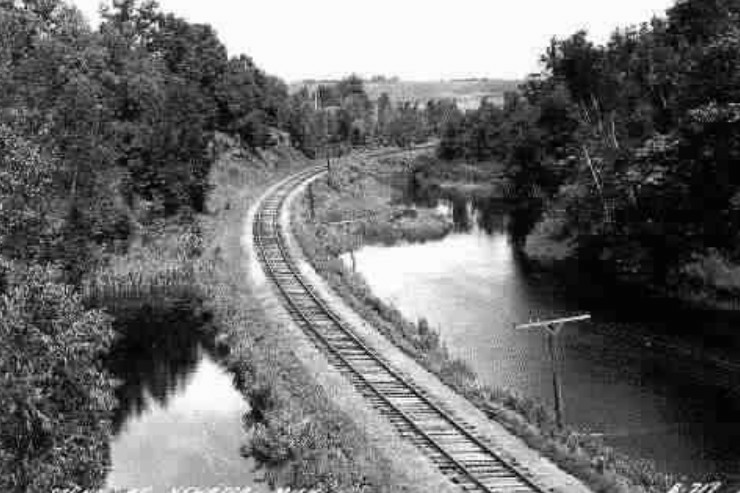 The natural geography of the river’s path facilitated the industry and made it easy for transport. 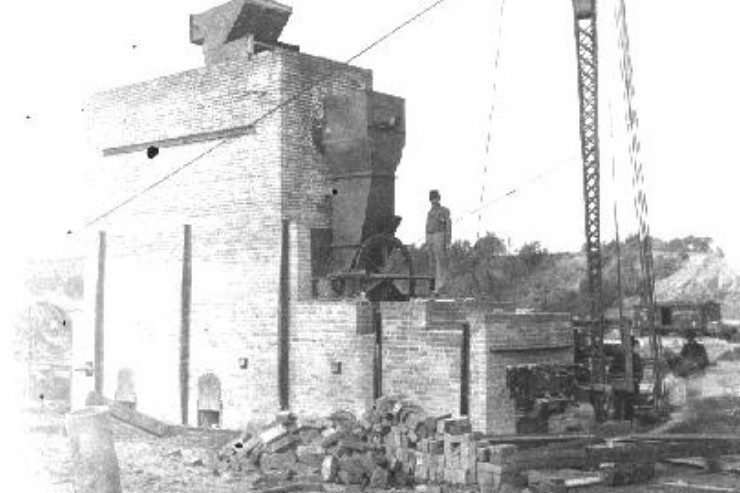 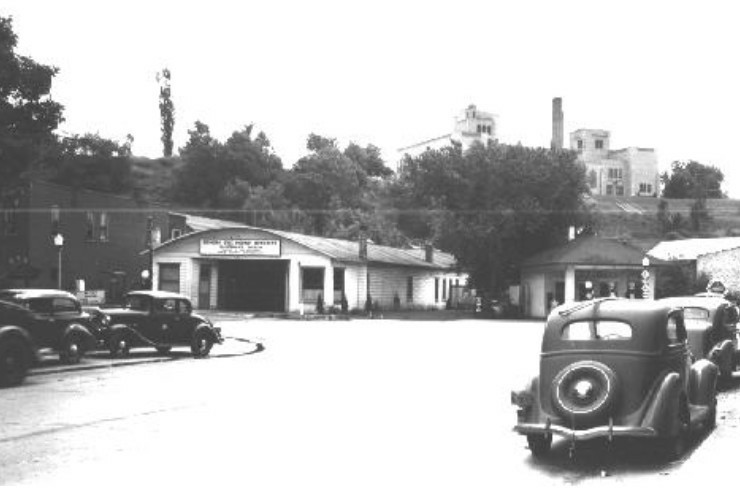 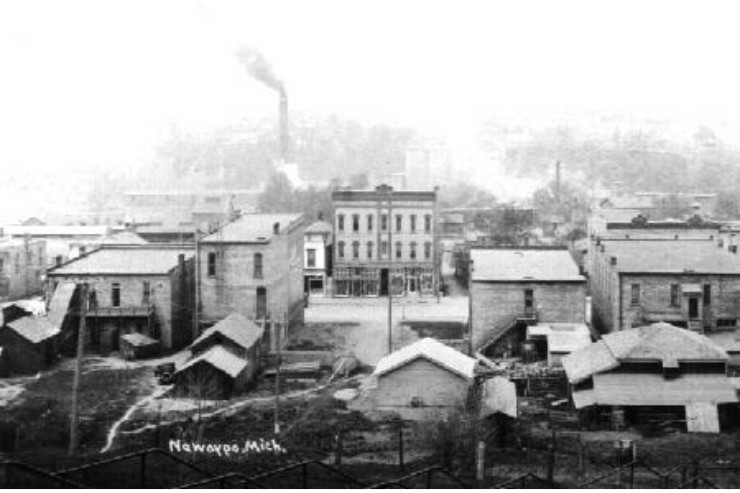 The Big Red Mill, on the east bank of the Muskegon River stood the test of time in Newaygo’s history as a lumber mill, cement plant, and as grain storage – as it is today. 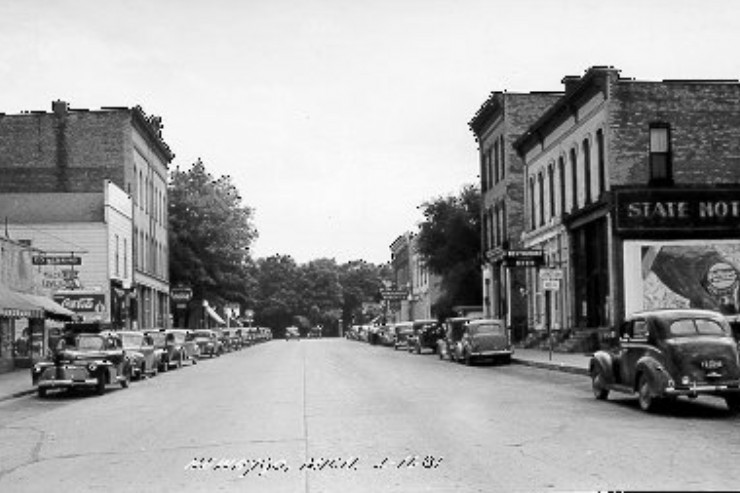 The area continues to quietly thrive – naturally. 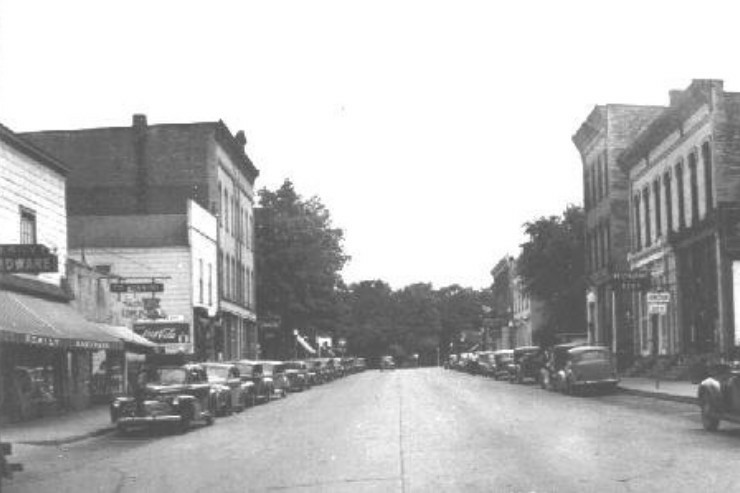 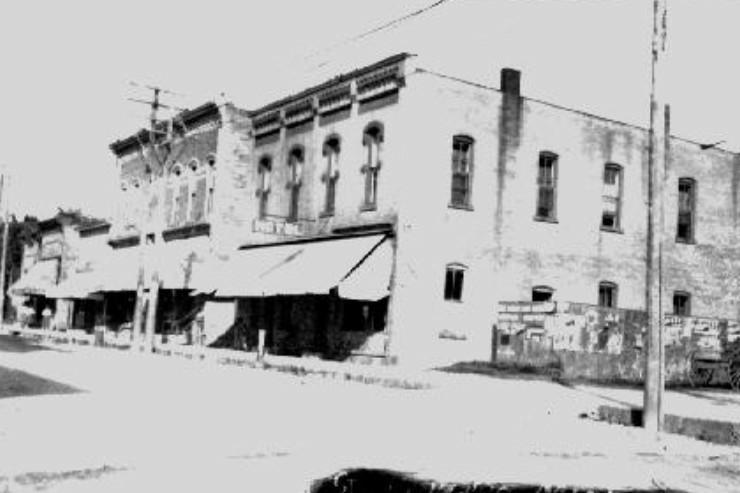 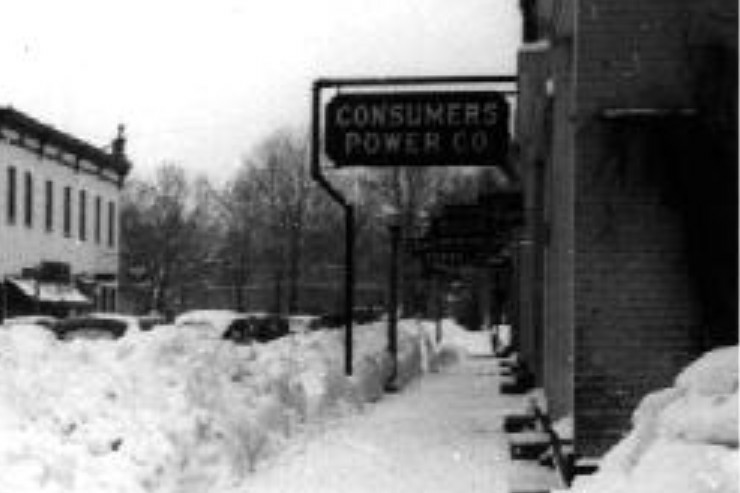 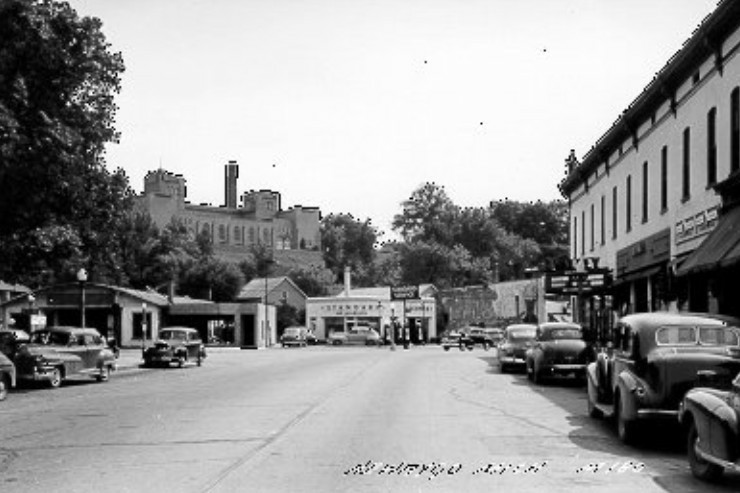 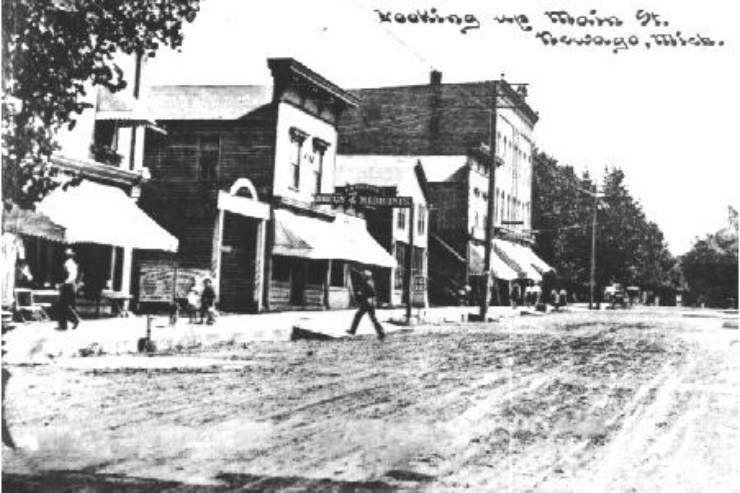 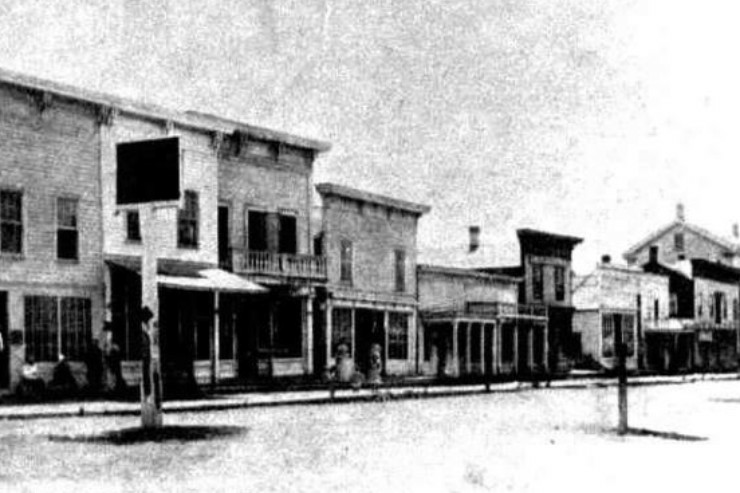 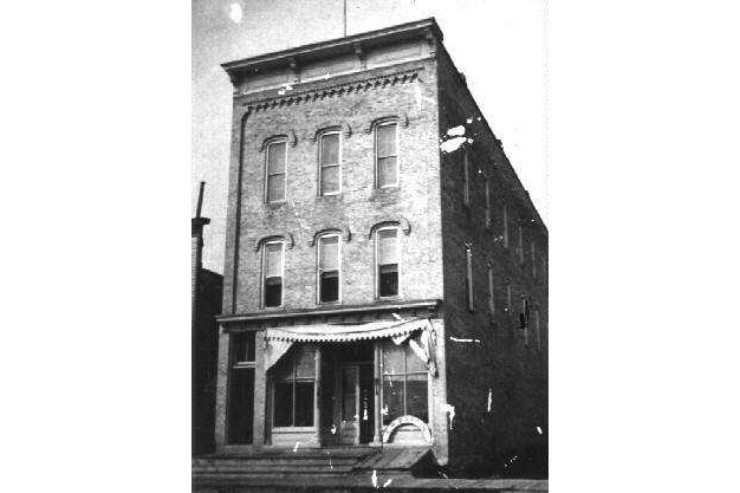 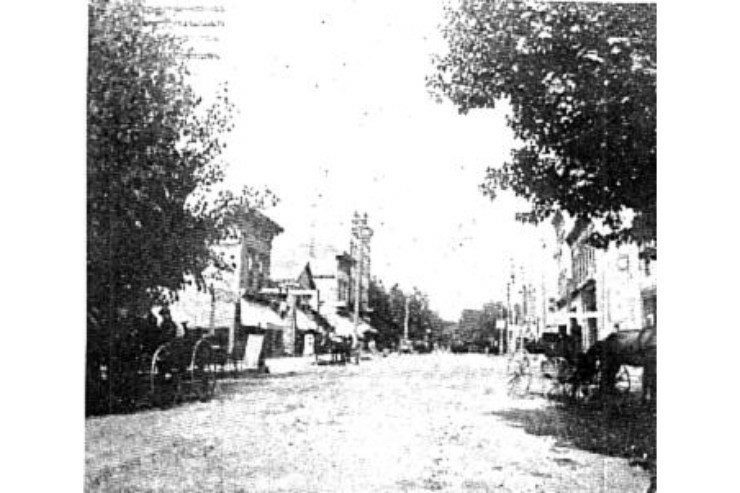 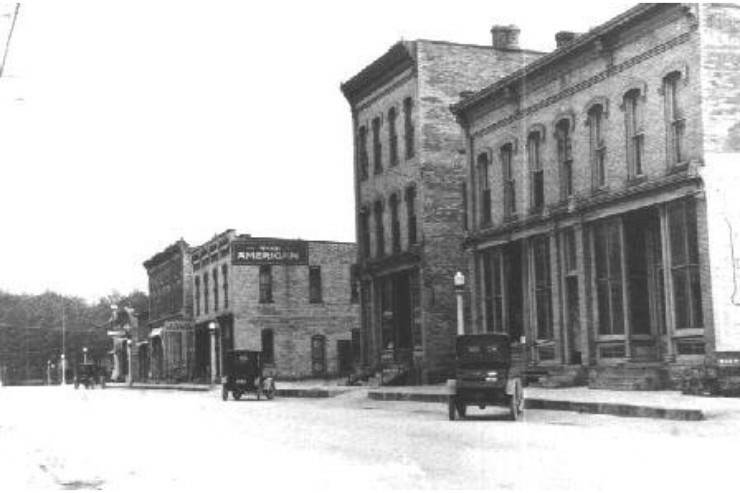 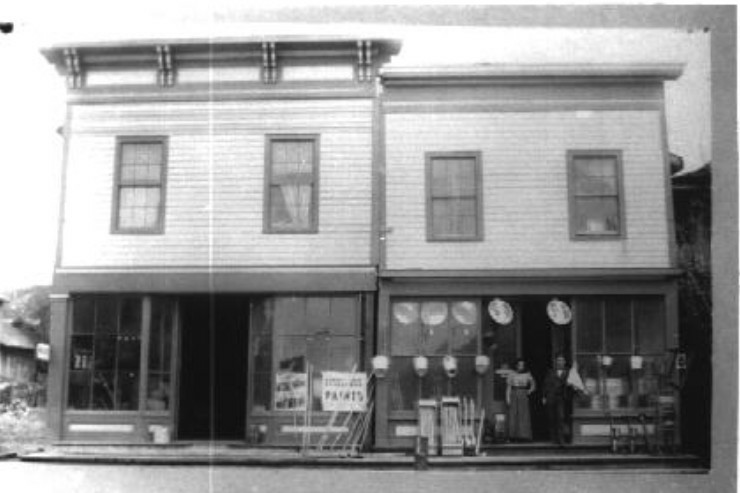 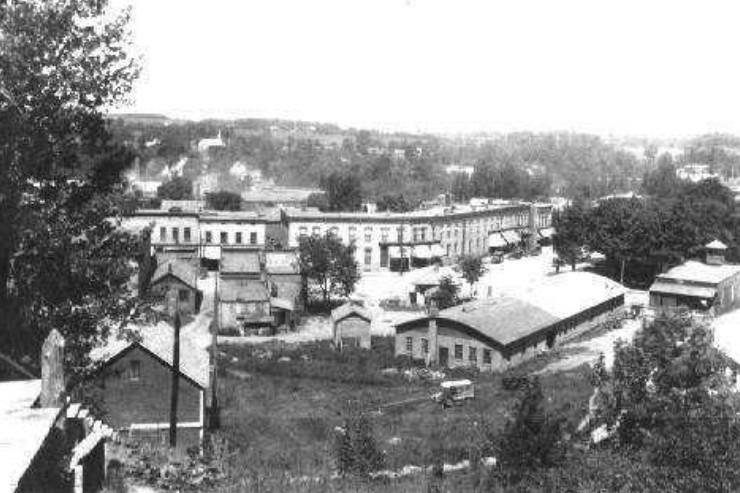 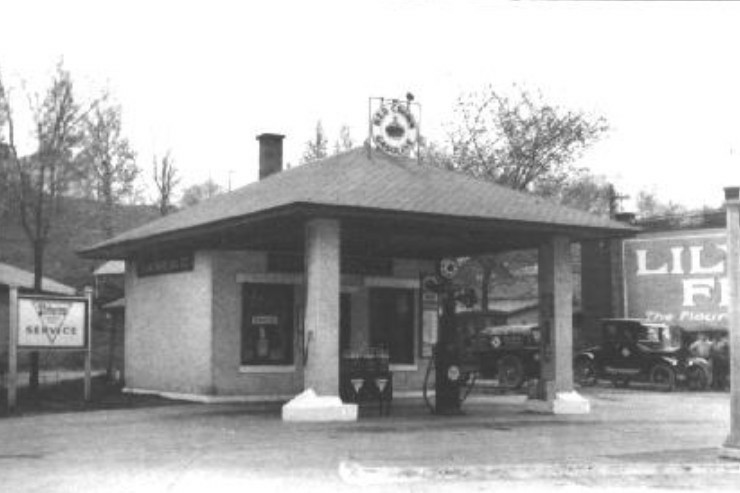 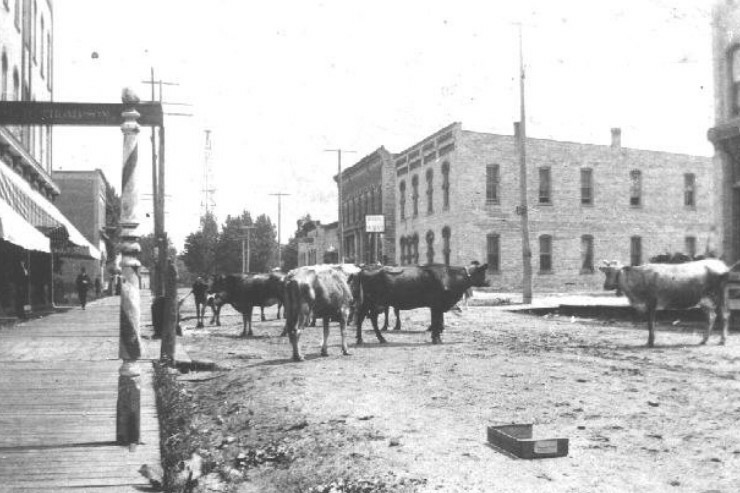 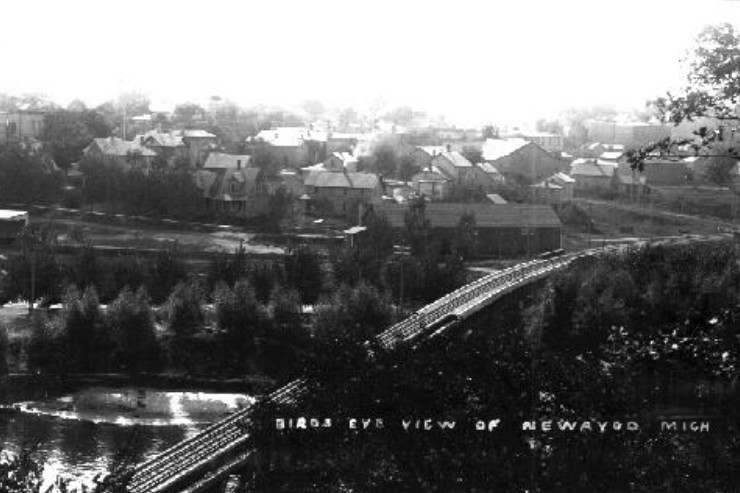 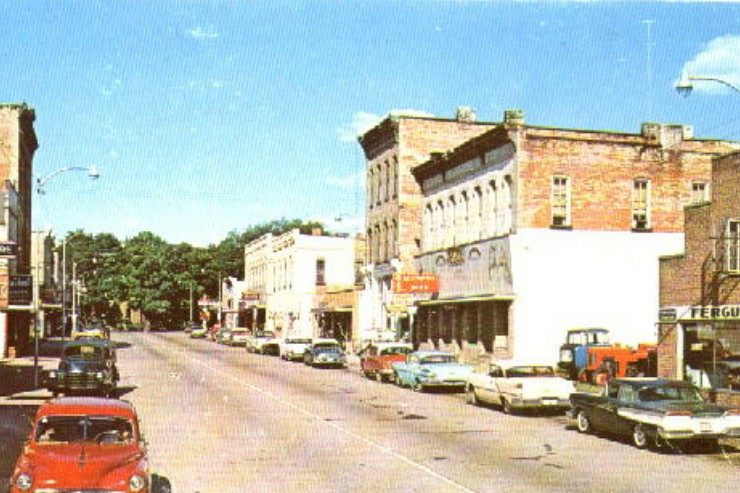 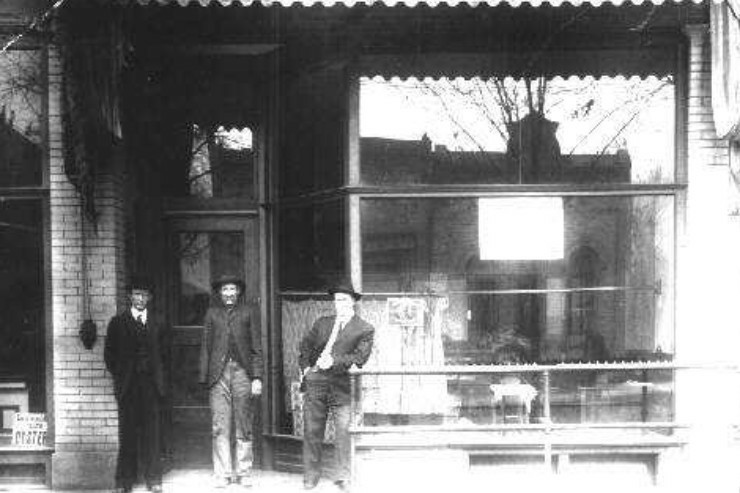 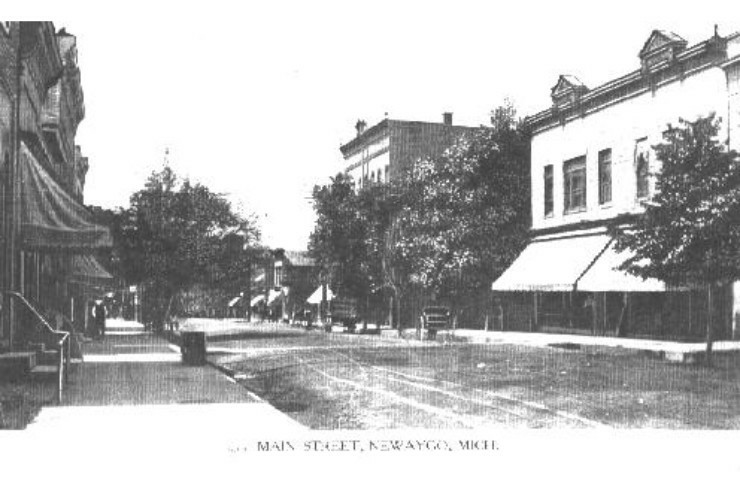 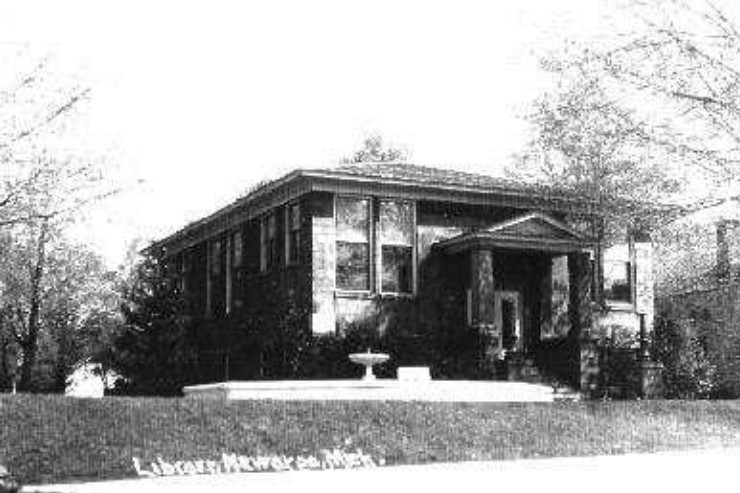 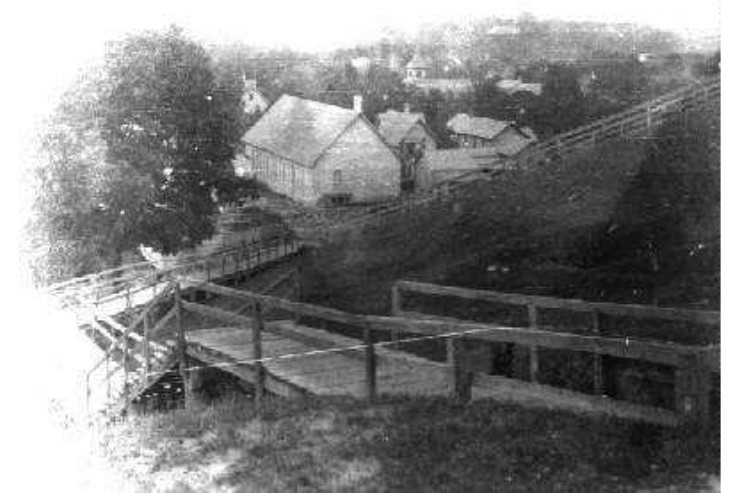 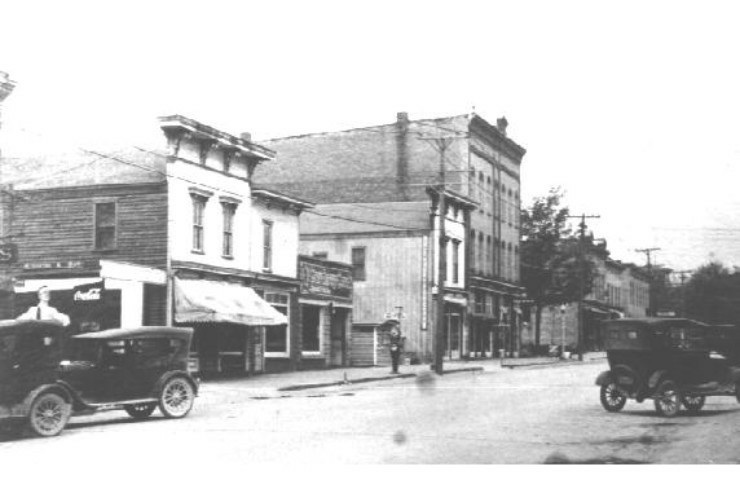 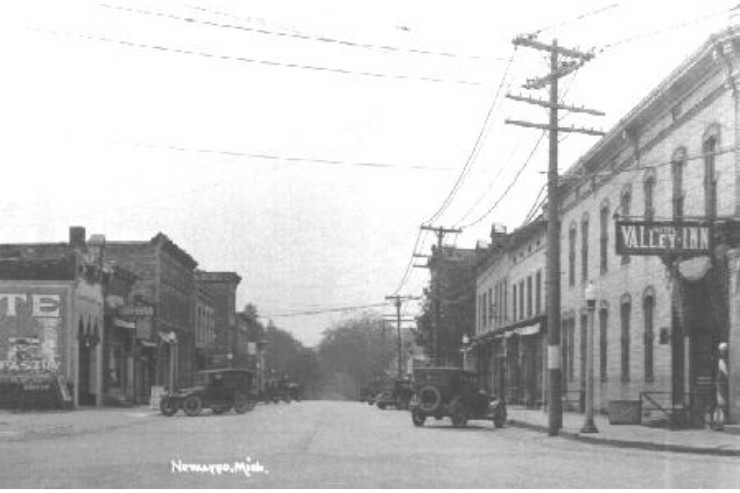 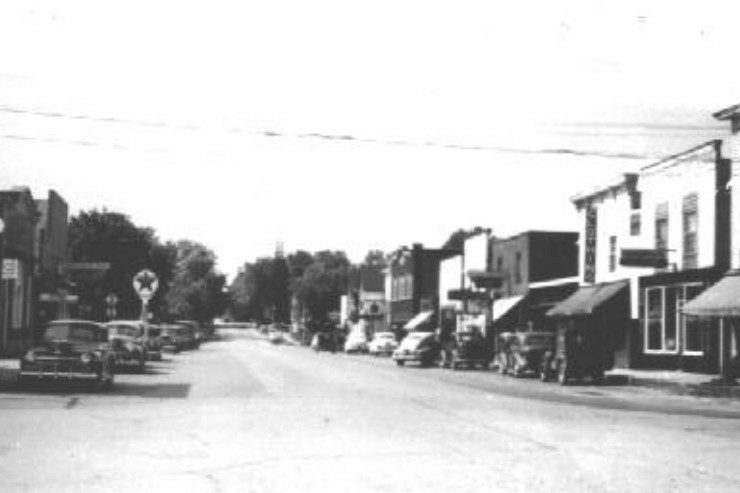 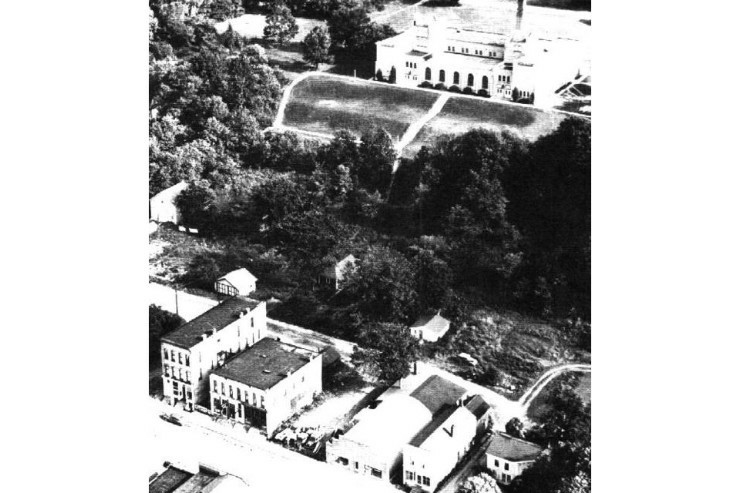 The City of Newaygo is the oldest community in Newaygo County. 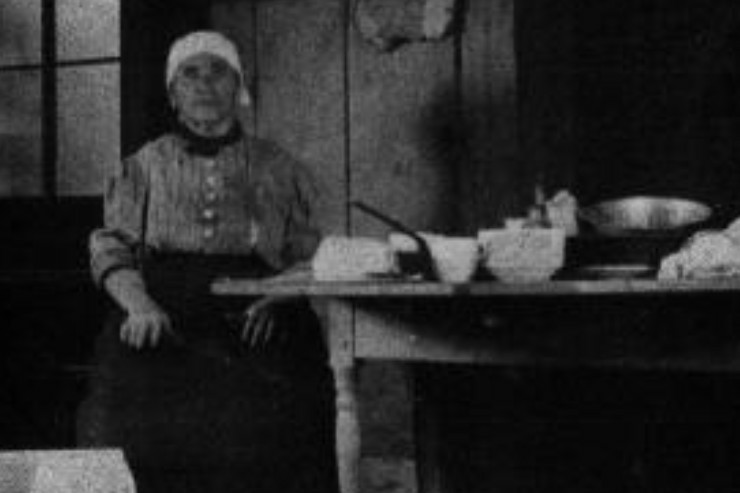 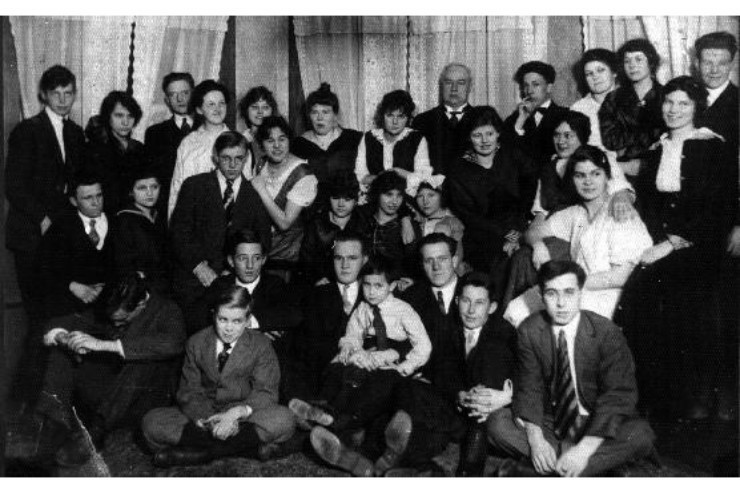 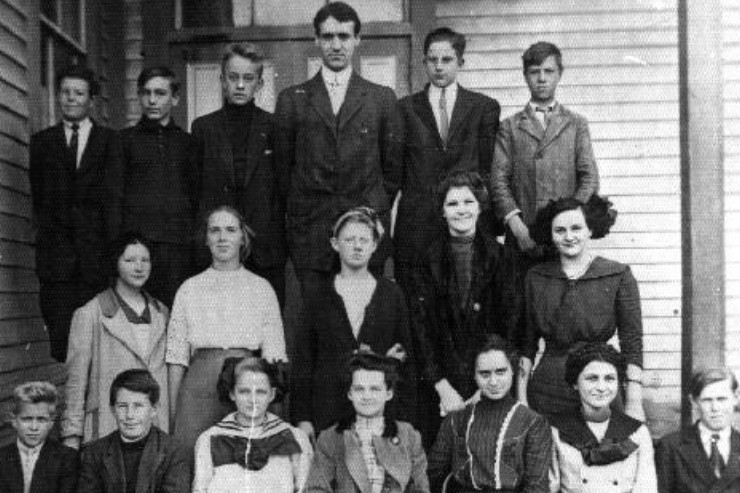 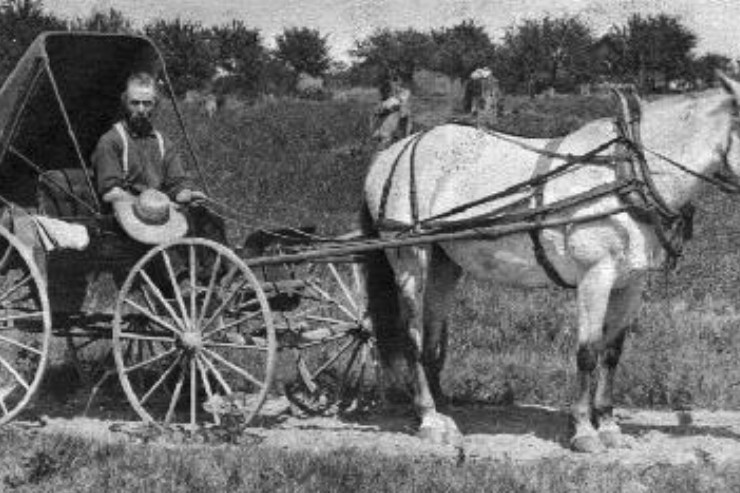 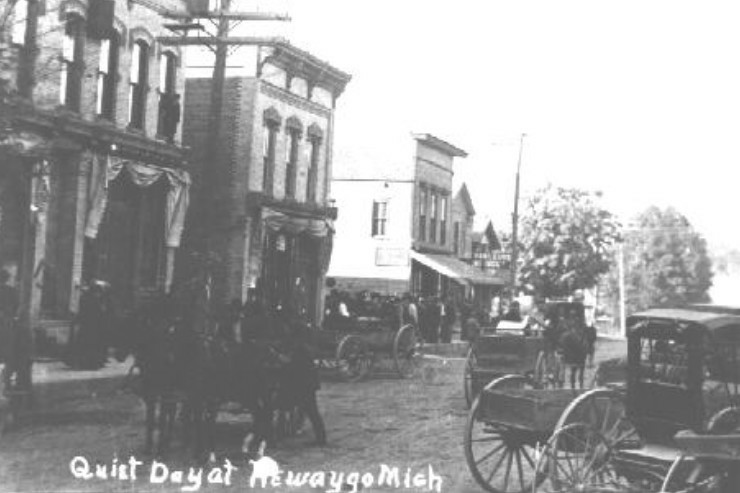 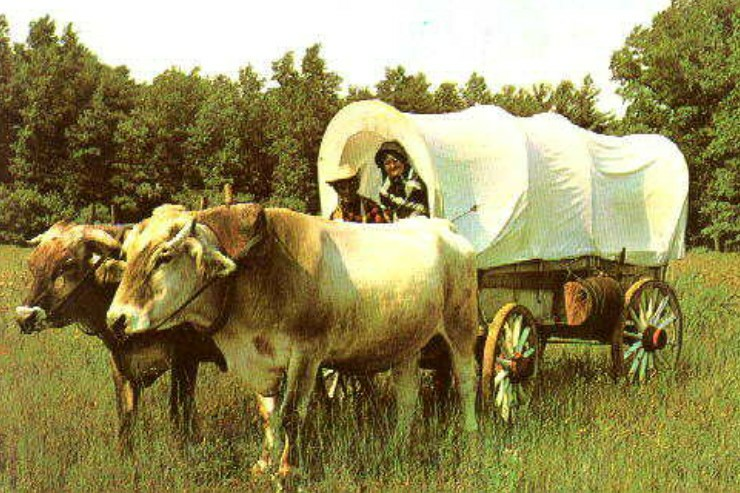 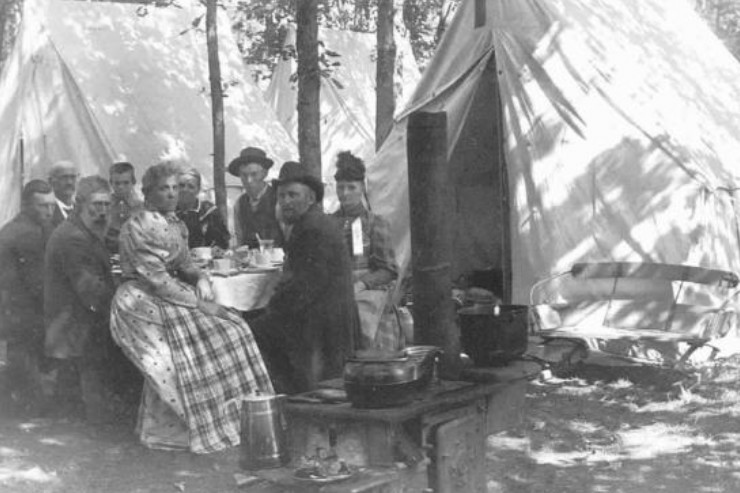 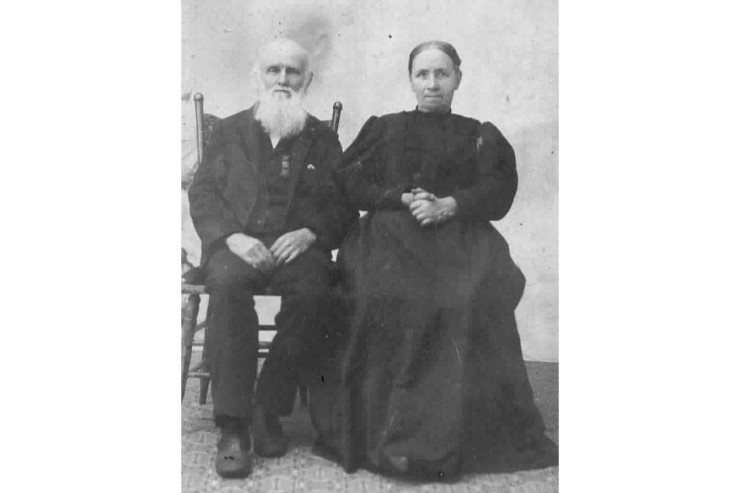 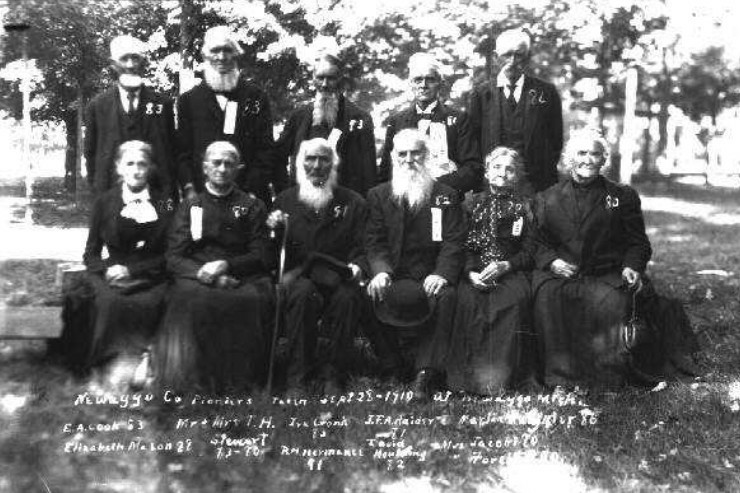 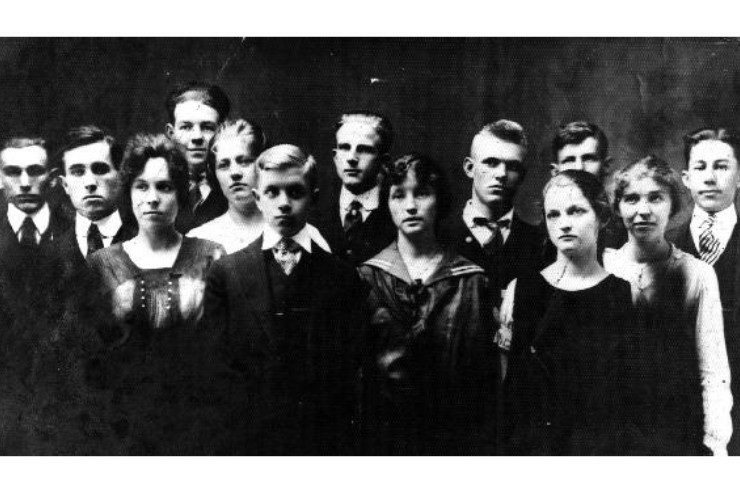 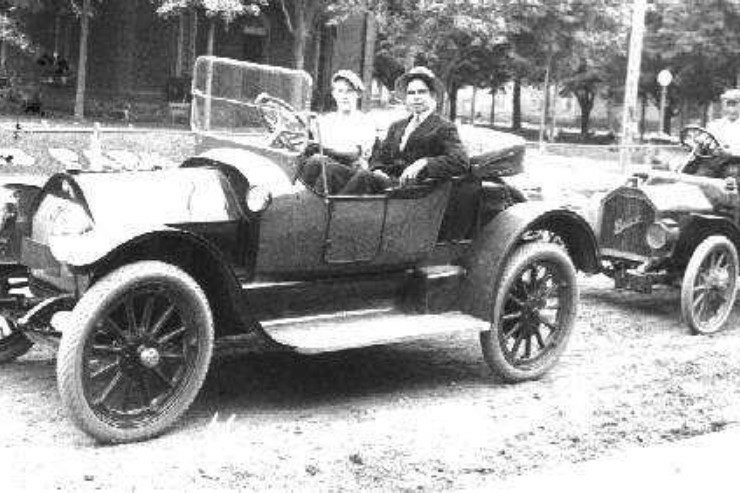 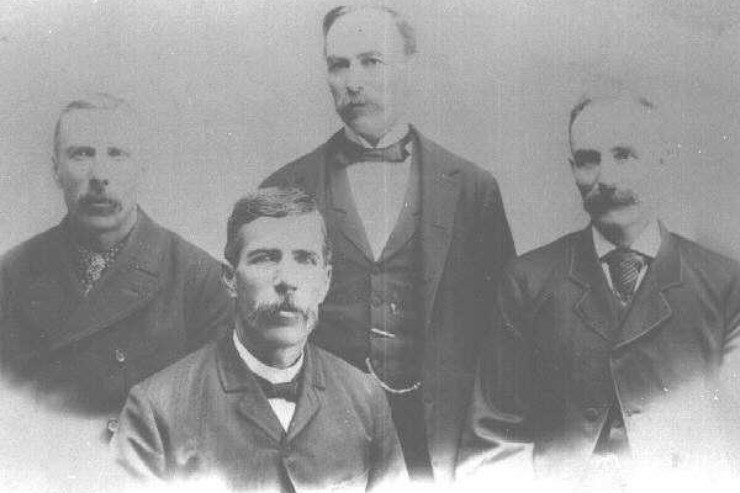 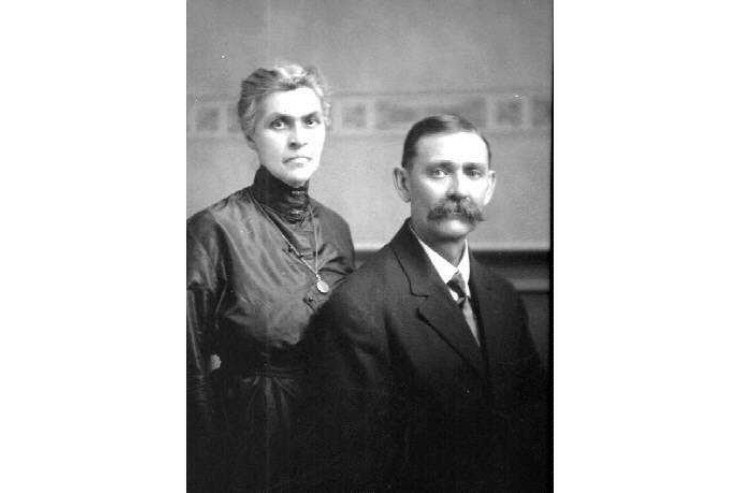 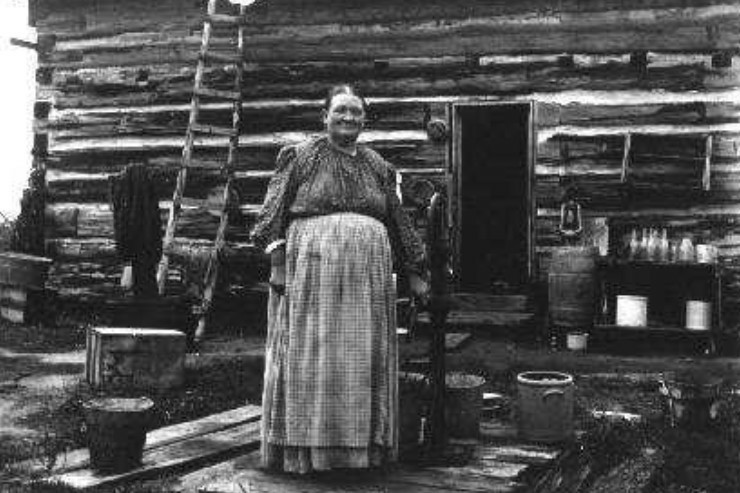 The Penoyer and Brooks families were among the first settlers to Newaygo. 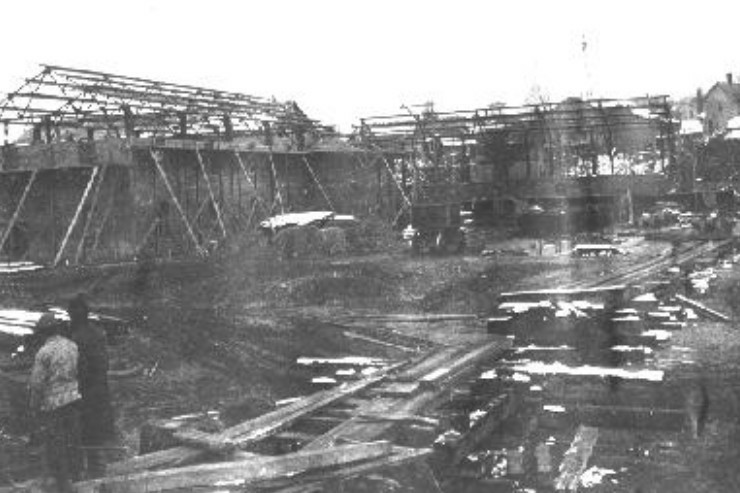 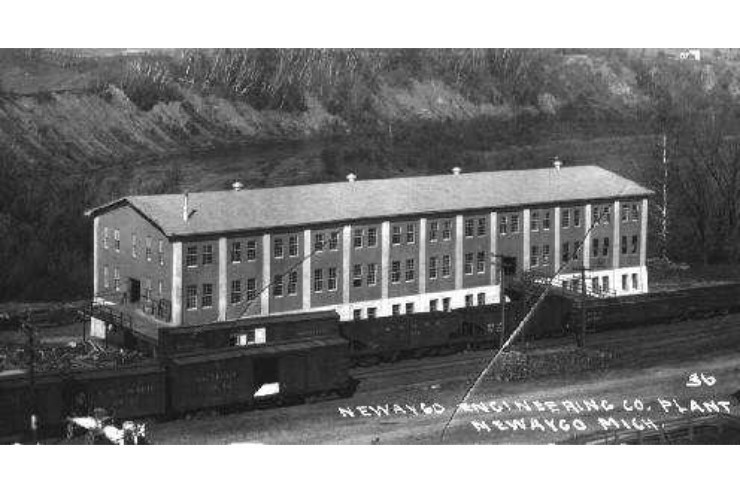 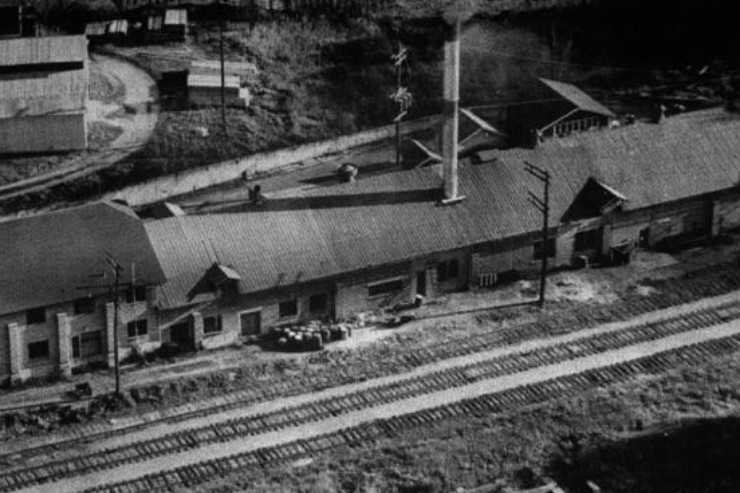 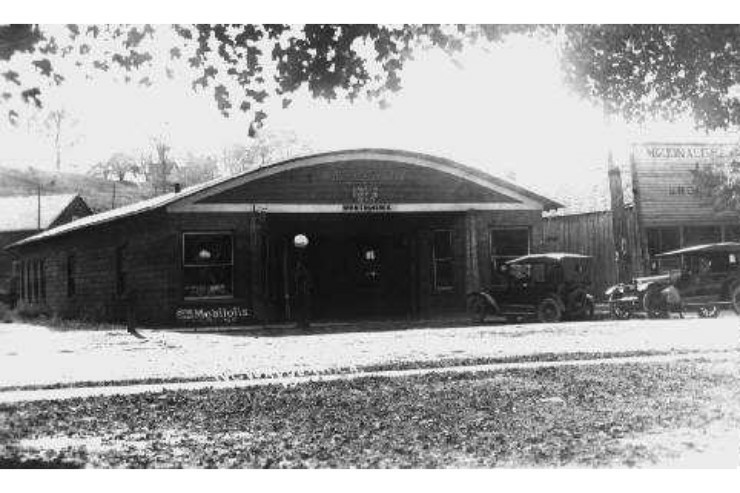 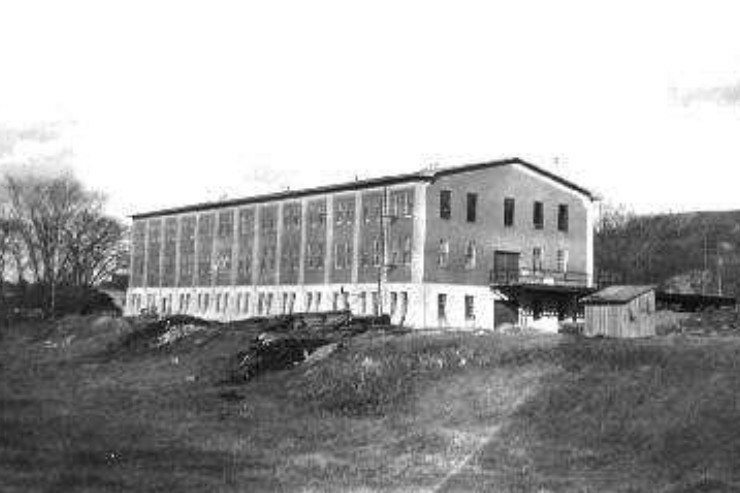 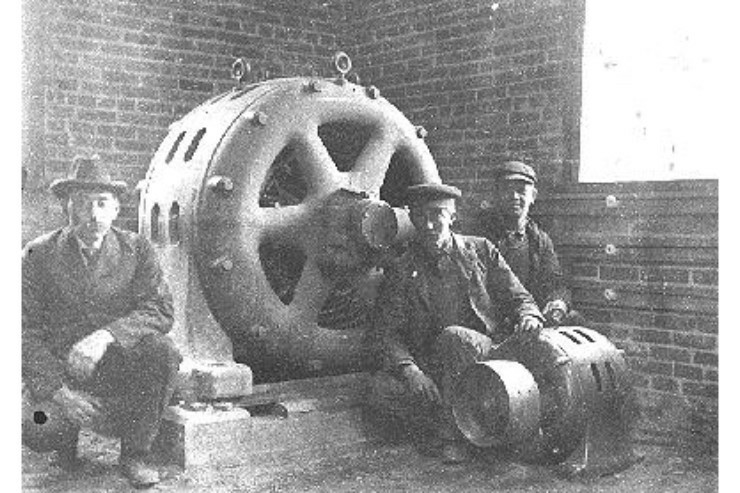 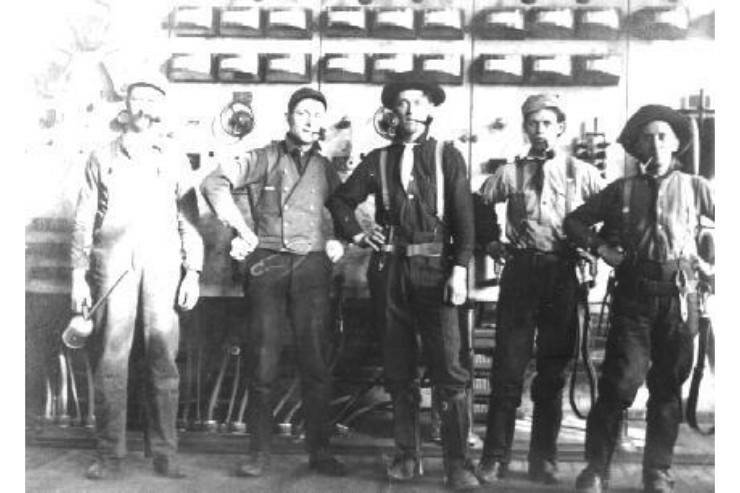 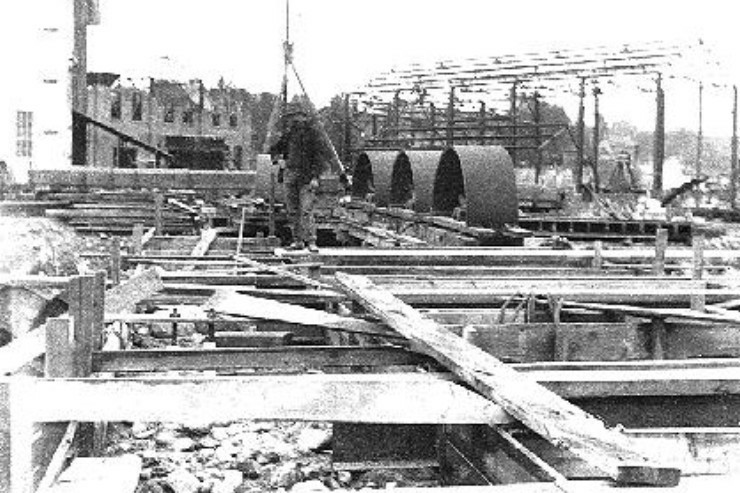 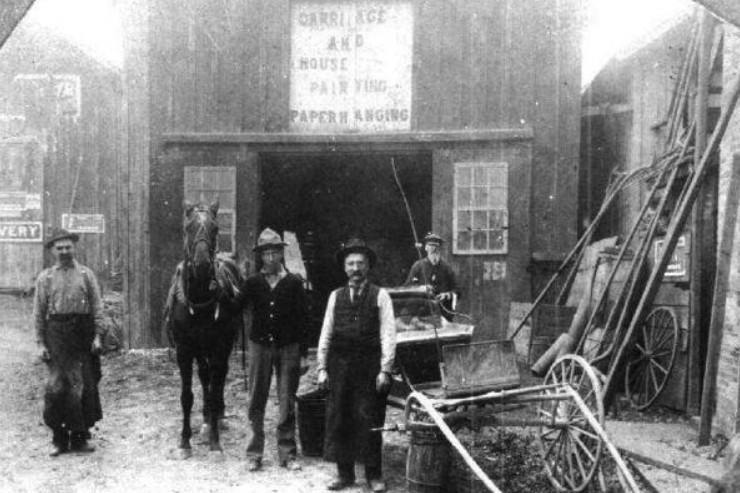 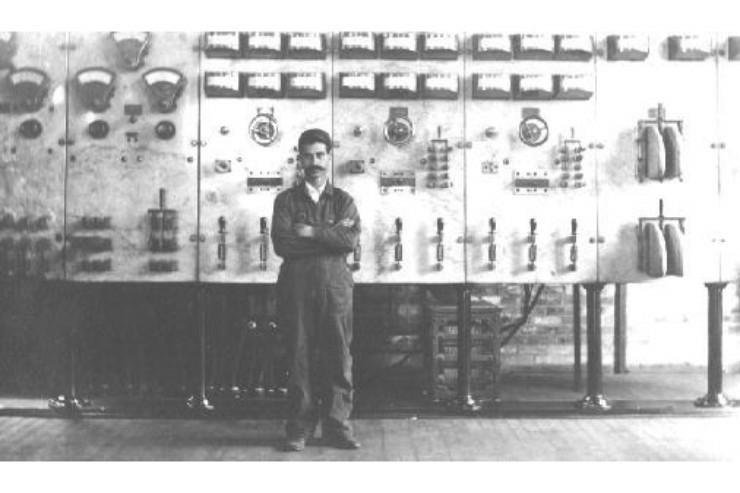 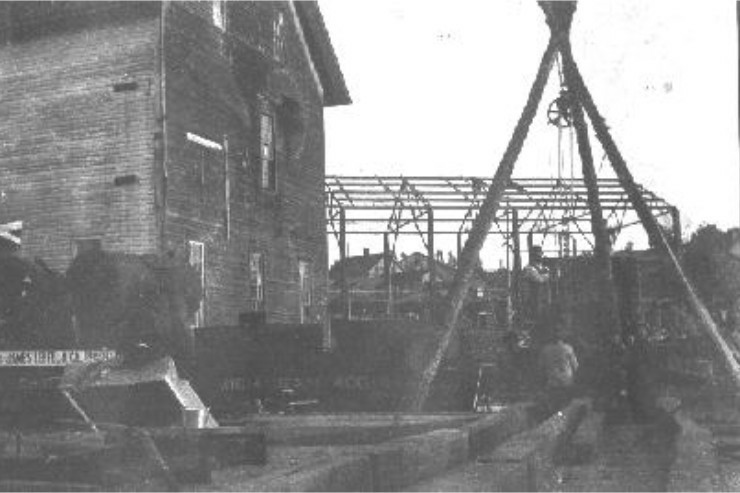 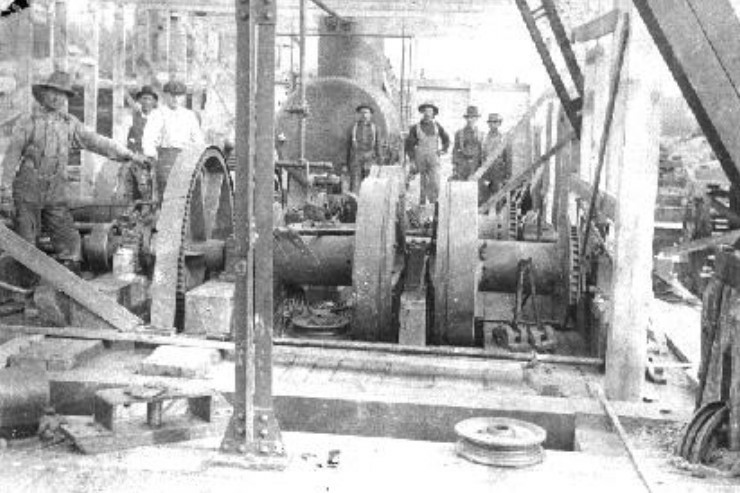 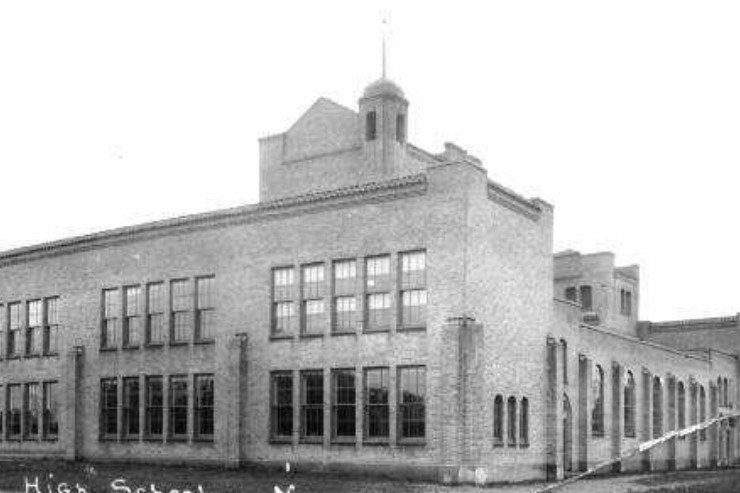 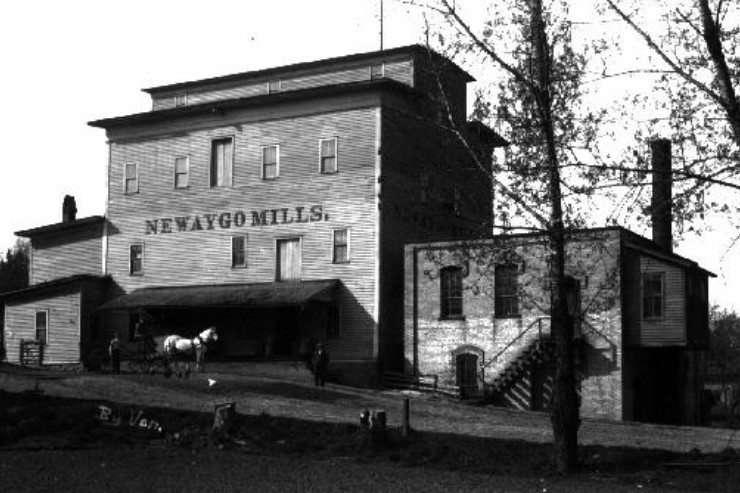 They founded Newaygo’s first saw mill known as the “Big Red Mill”. 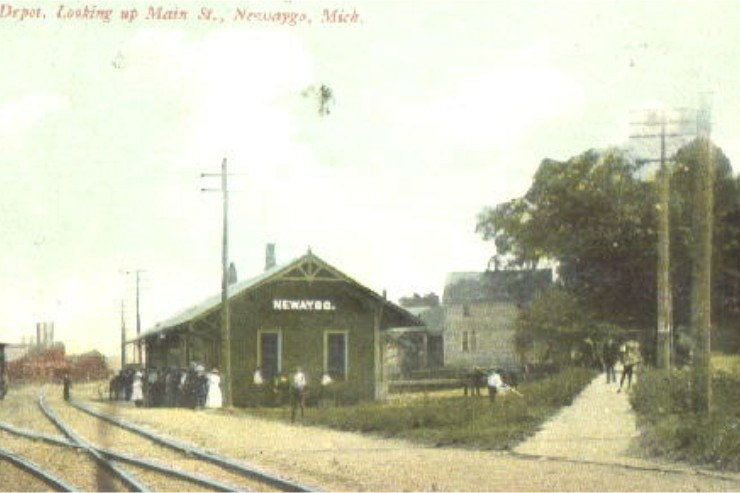 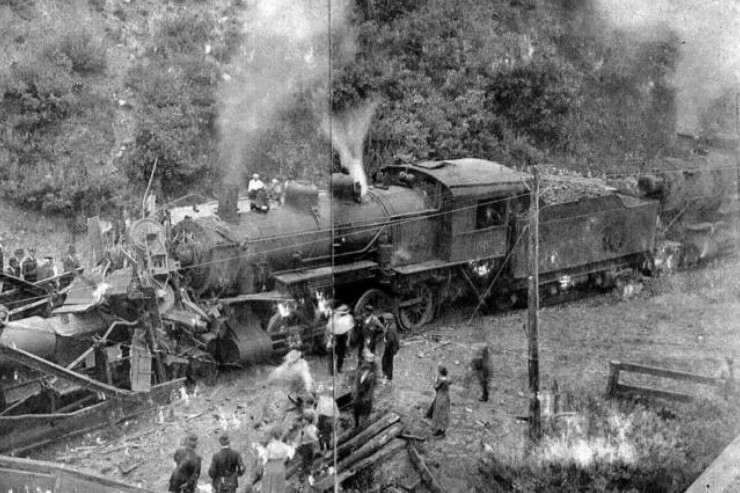 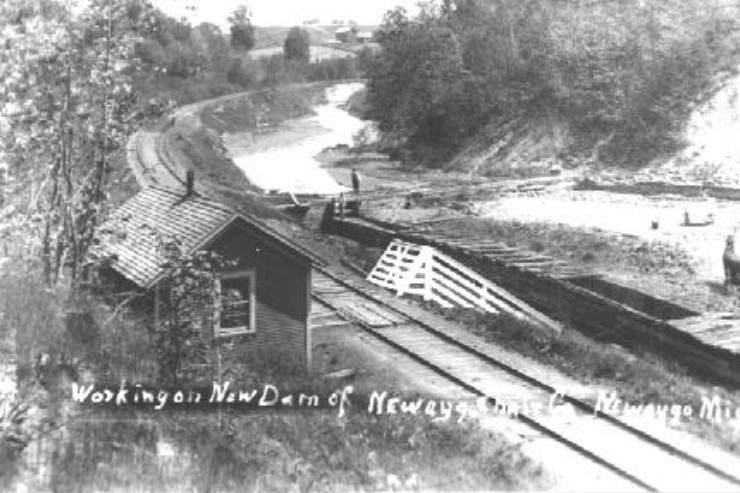 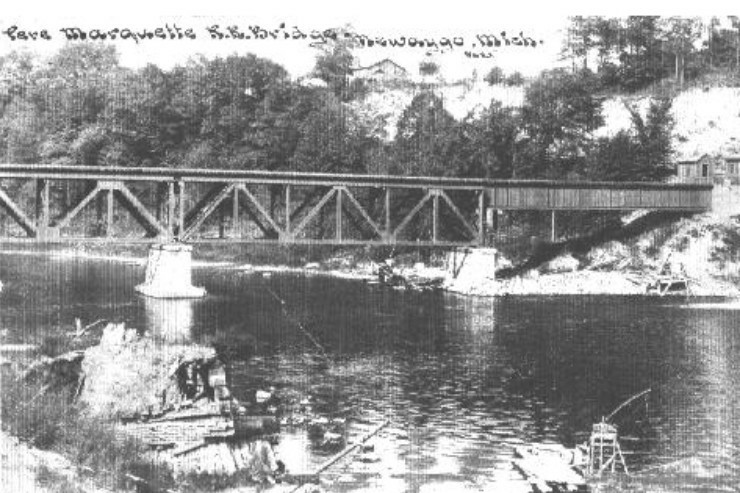 The rail service came through Newaygo in 1873, connecting with metropolitan Grand Rapids, Chicago, and Detroit. 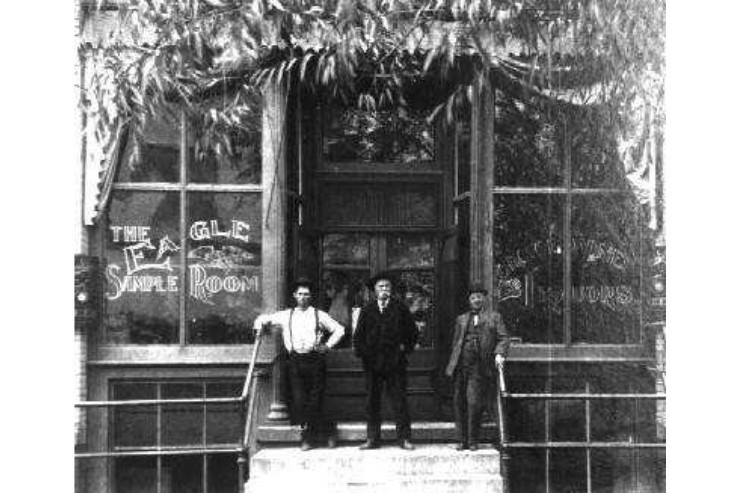 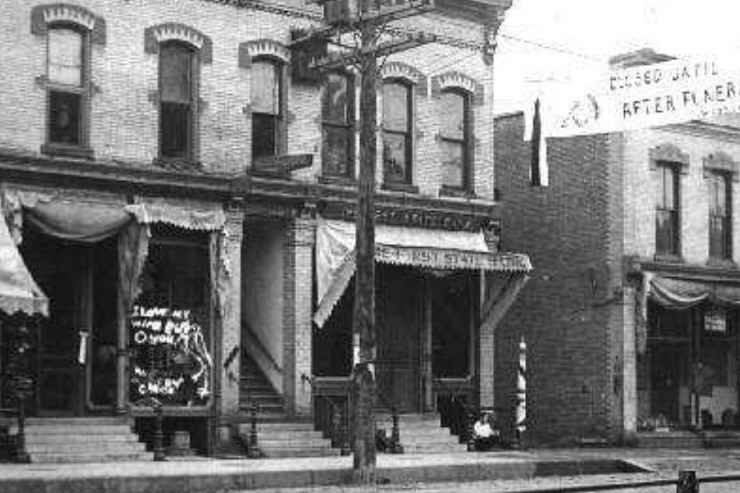 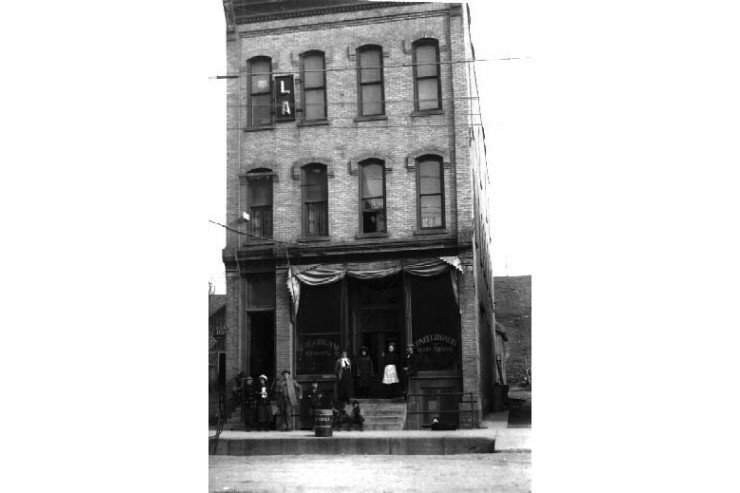 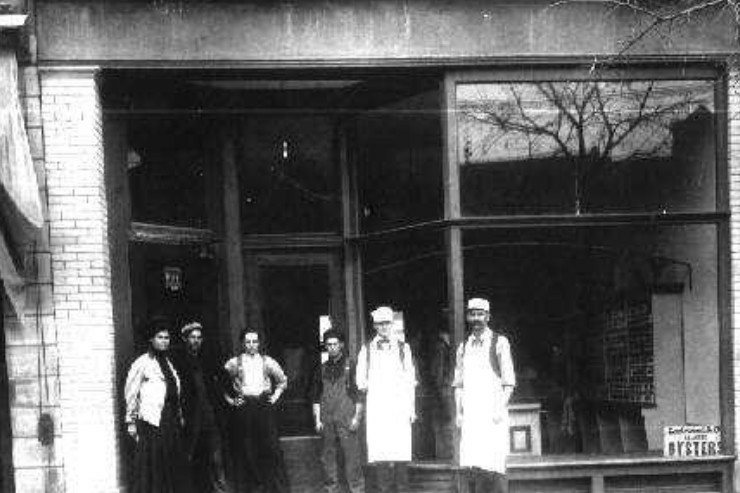 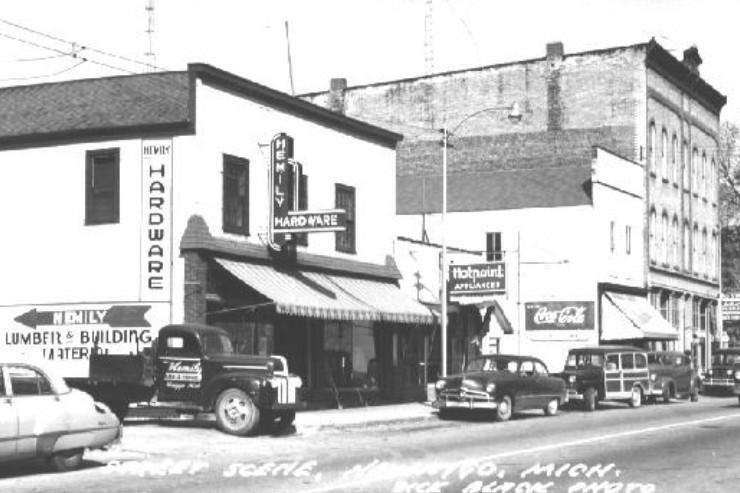 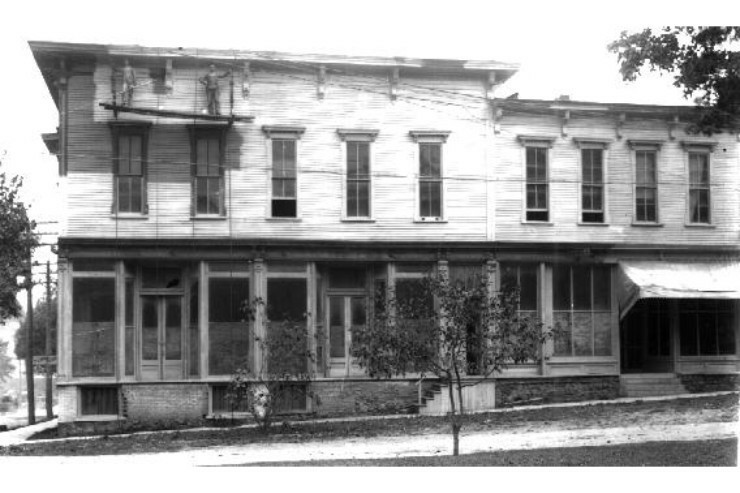 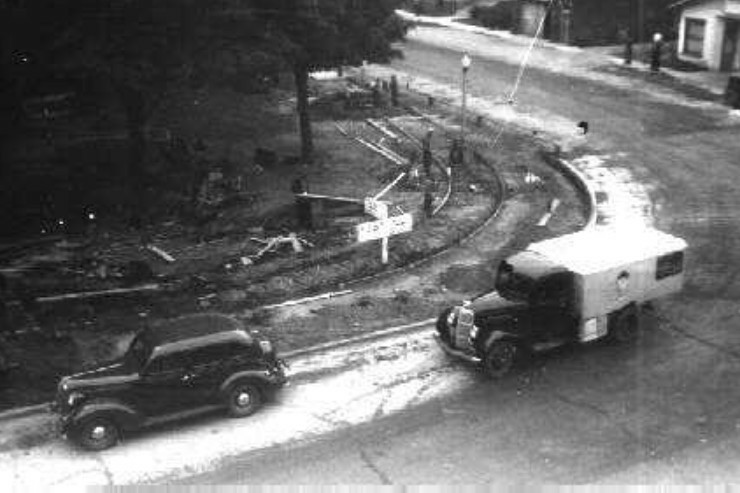 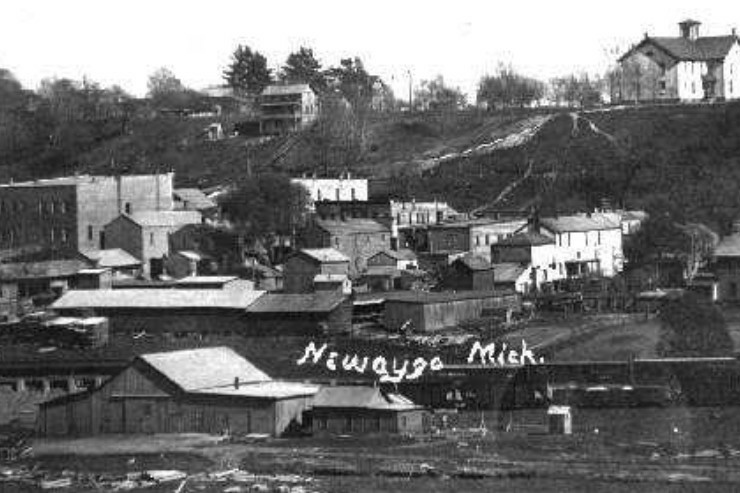 The City Museum is filled with pieces of Newaygo’s history. 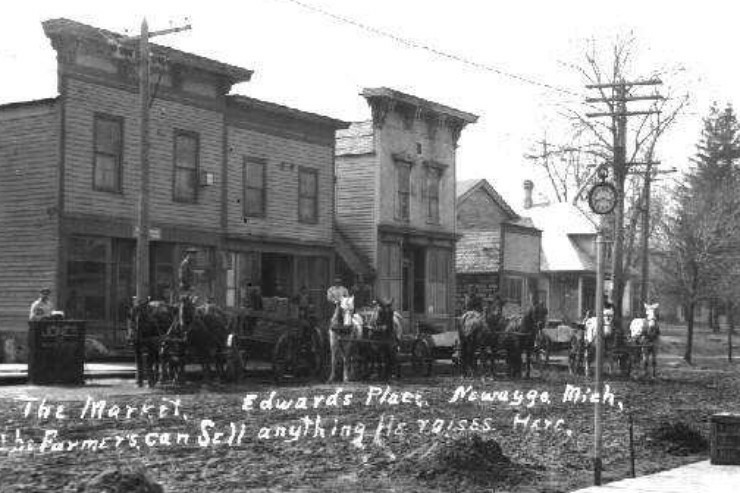 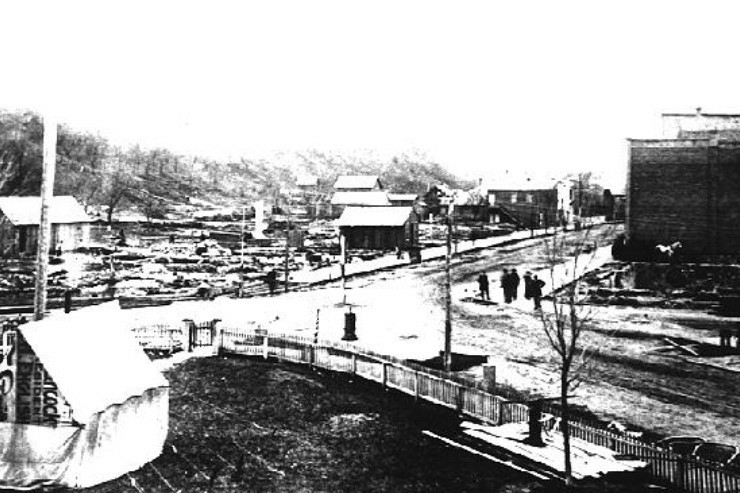 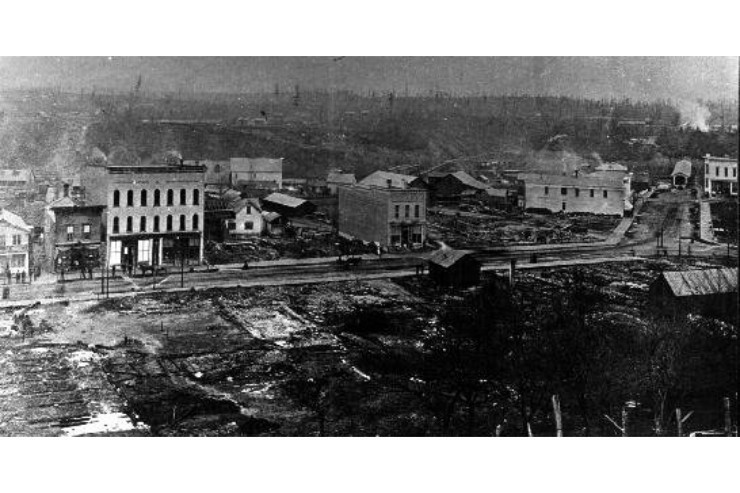 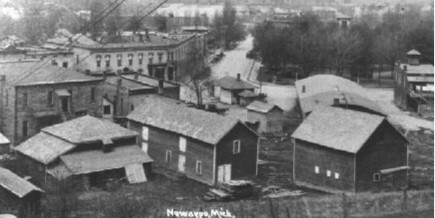 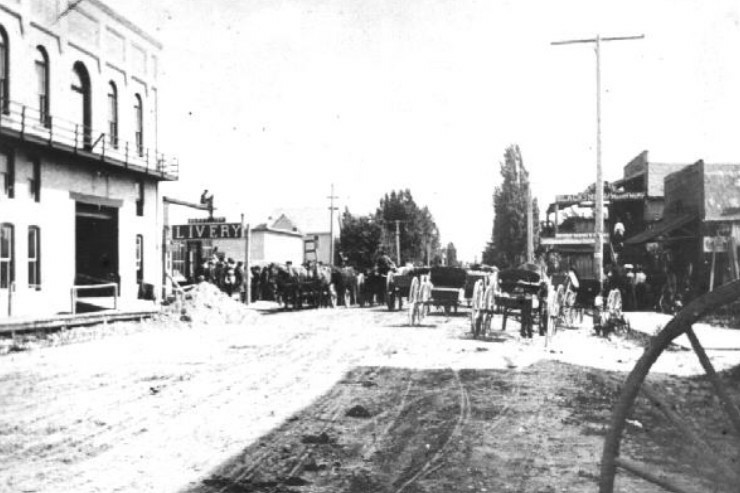 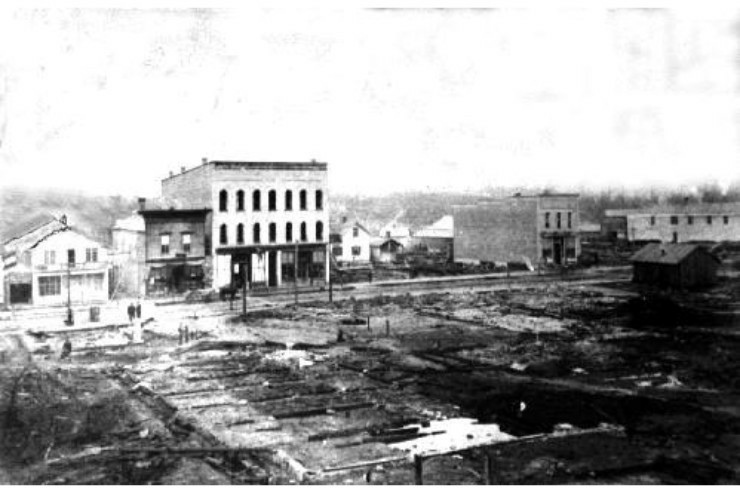 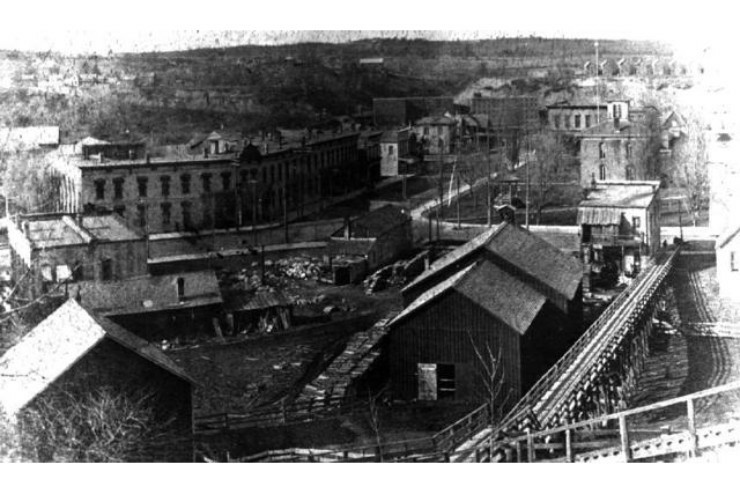 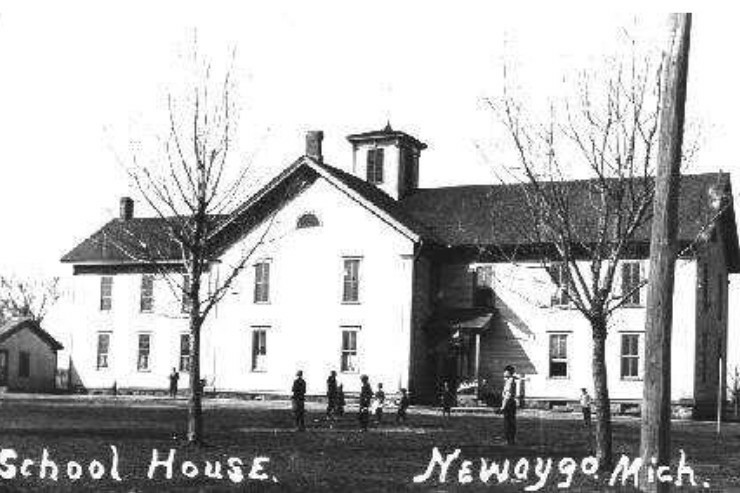 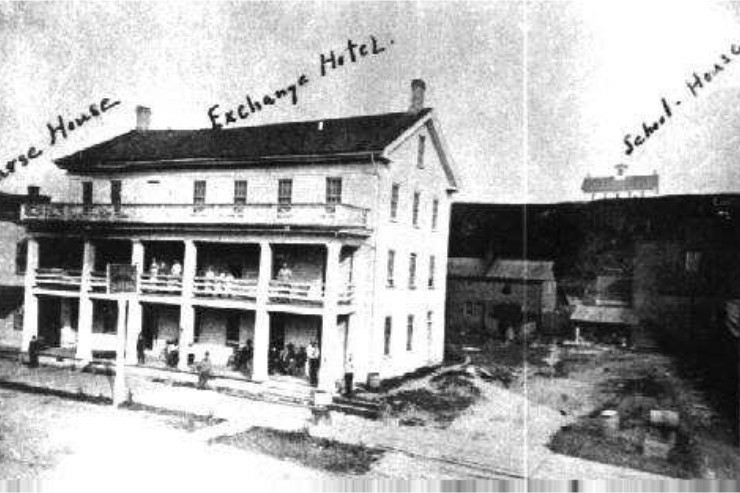 In 1883 a massive fire destroyed Newaygo, leaving only two buildings standing. 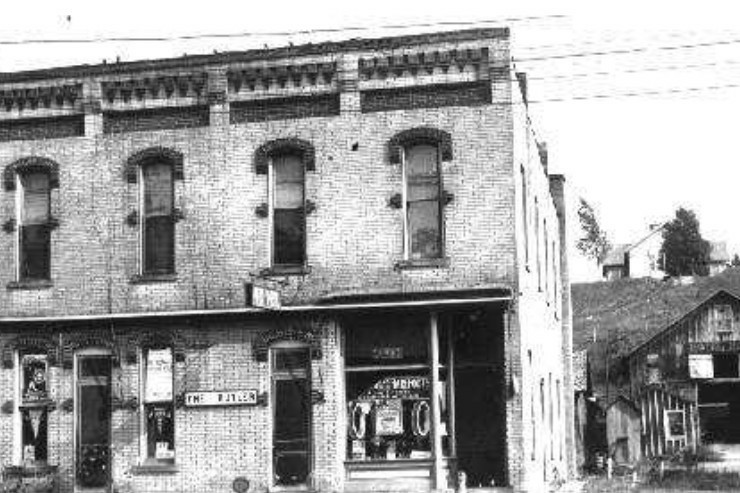 The architectural influence existing today is of the late Victorian style. 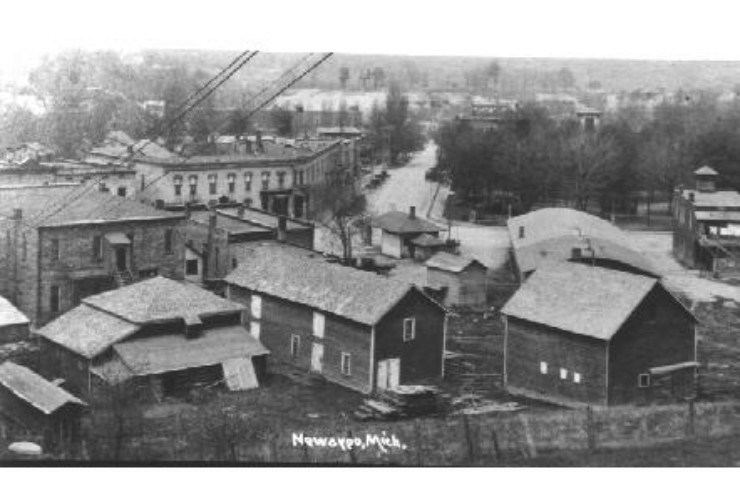 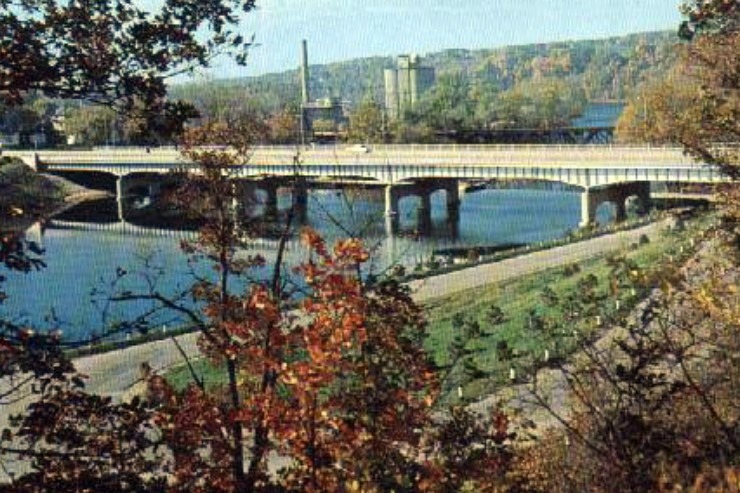 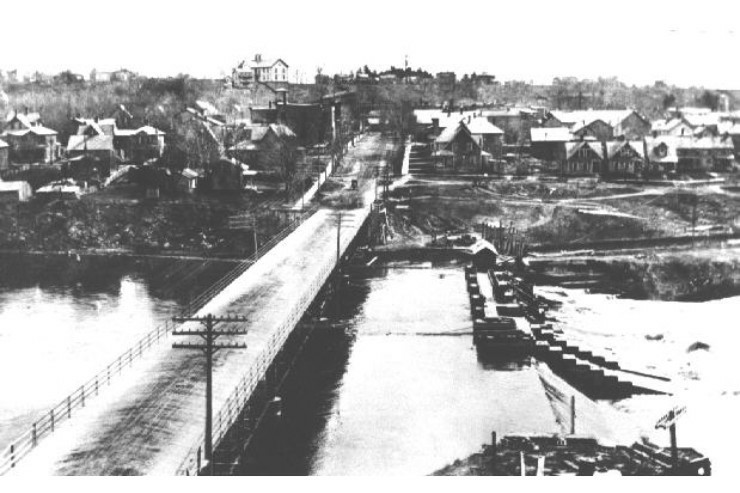 The proximity of the Muskegon River was the driving force of Newaygo’s early economy, with mills, lumbering, and recreation developing near by. 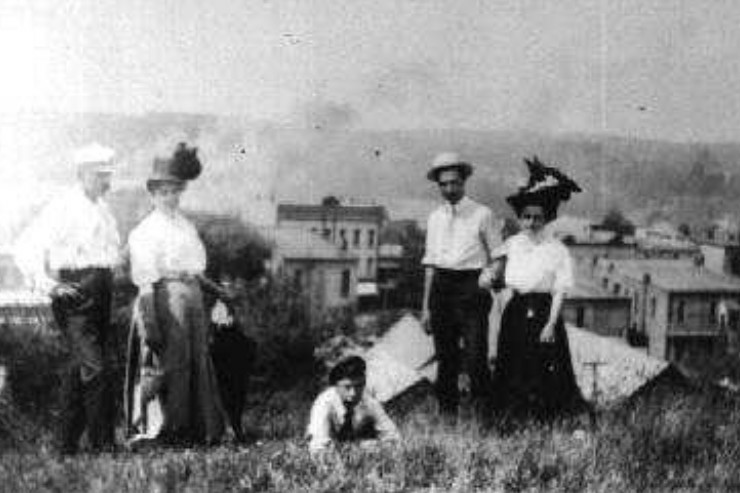 The city today is a place for families to enjoy our heritage.